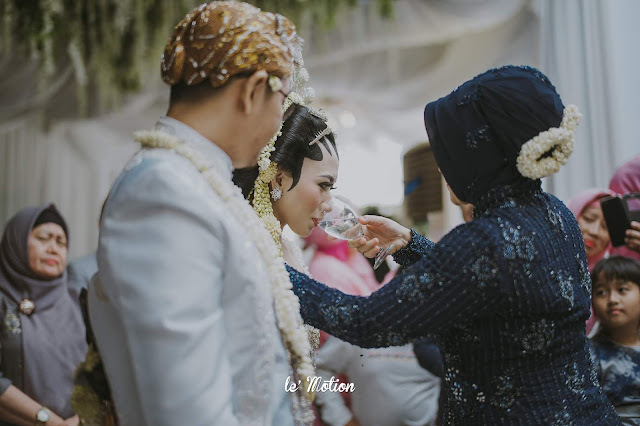 Love stories always fascinate us in some ways. 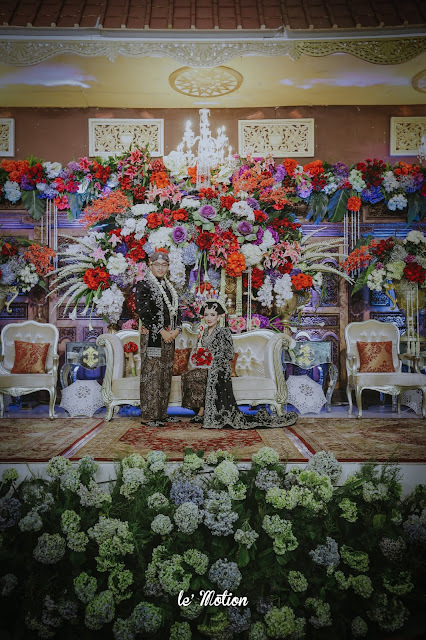 And we could't forget how thrilled we were when we flew to Surabaya for Fanda & Ifan's wedding. 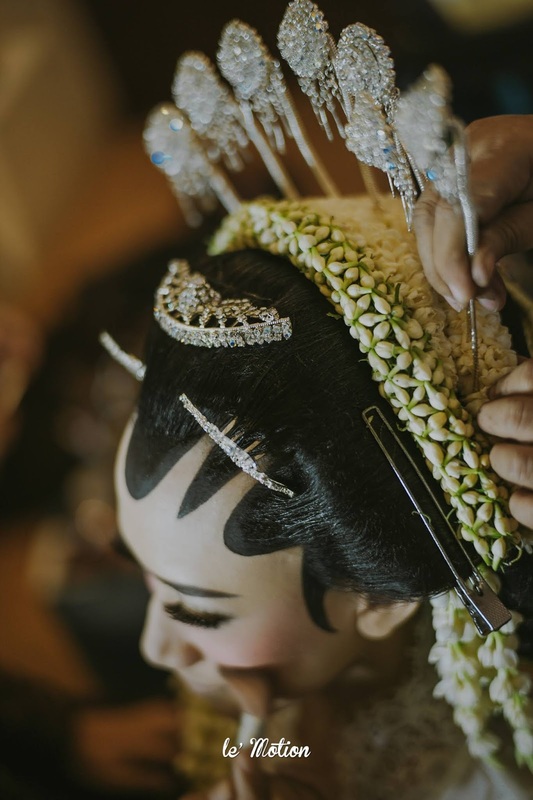 Surabaya has its own charms and a distinct cultural identity we always love to recall. 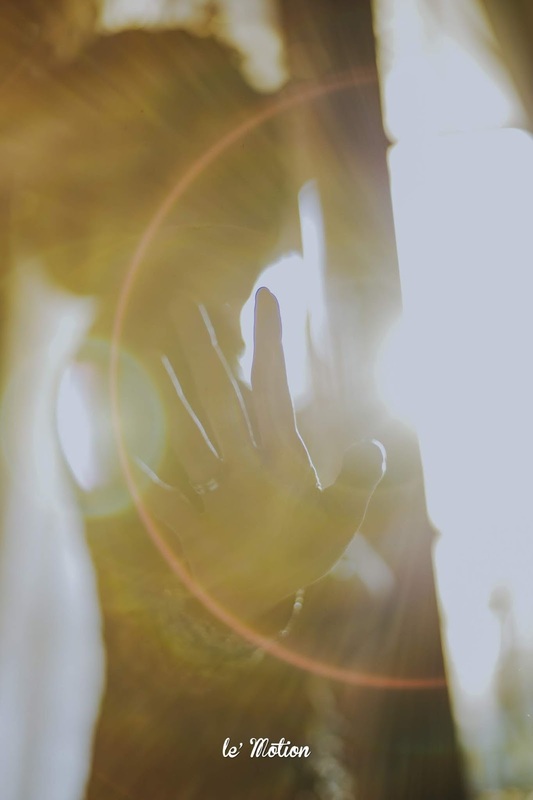 Sun shines in abundance on our first meeting with Fanda that day (no you didn't read it wrong - we met the bride one day before the wedding!). Our attraction to her was immediate as he was graceful, polite, and caring. 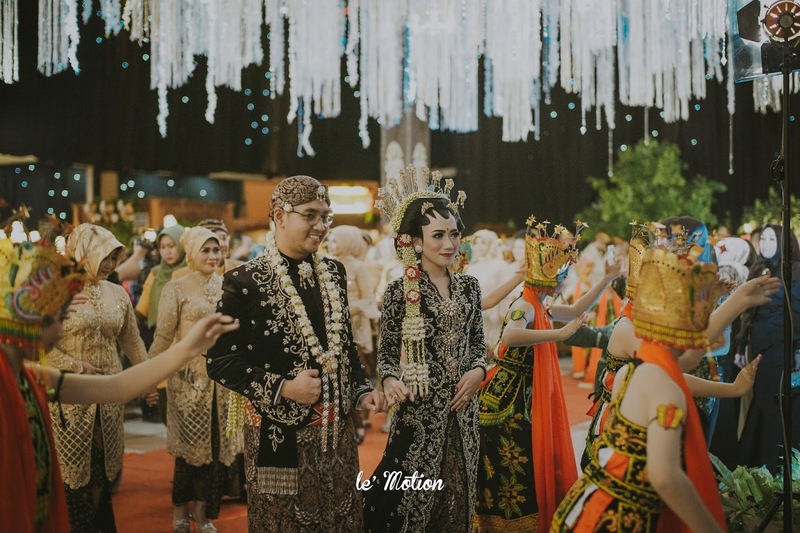 The procession of the wedding started with Siraman and Midodareni on the first day. 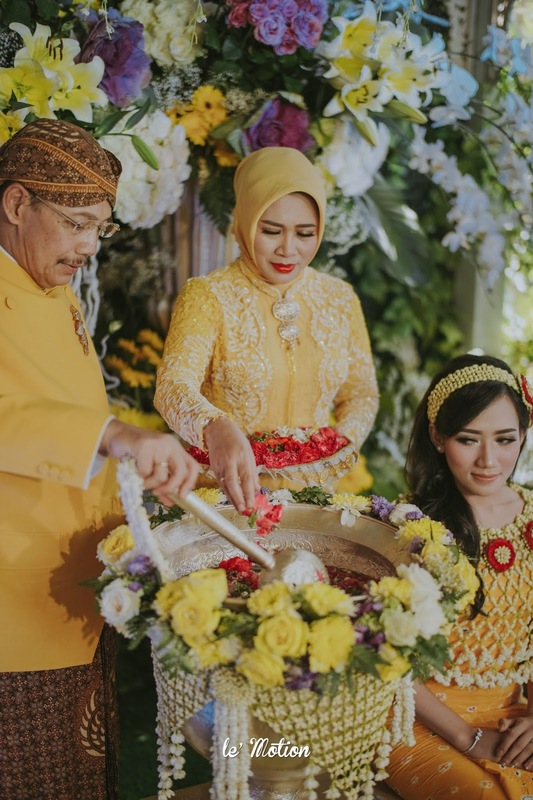 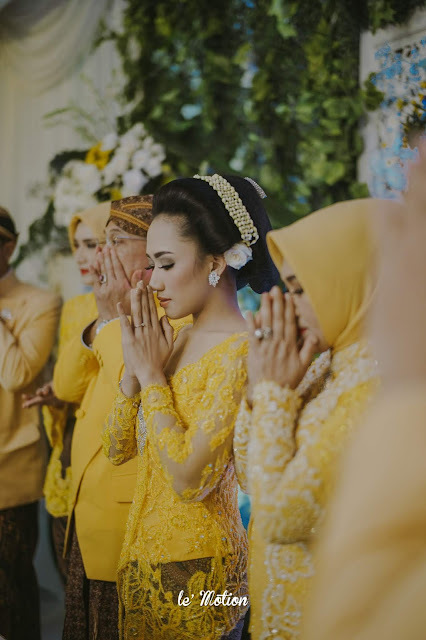 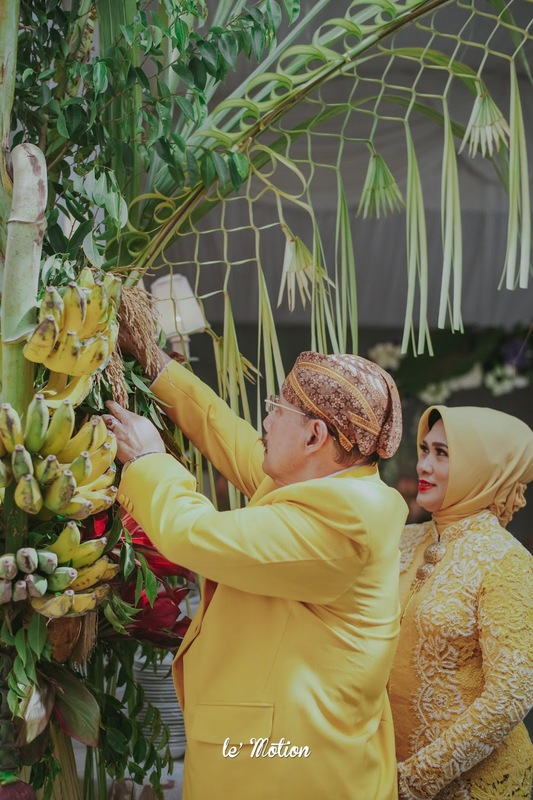 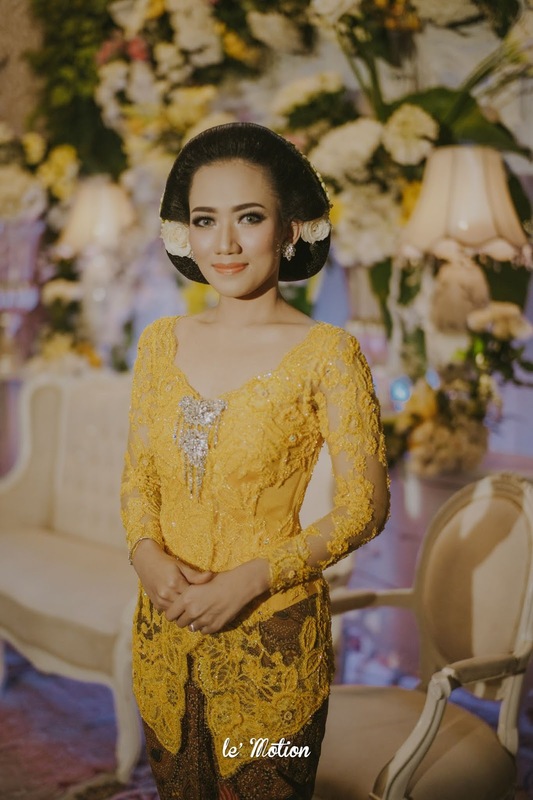 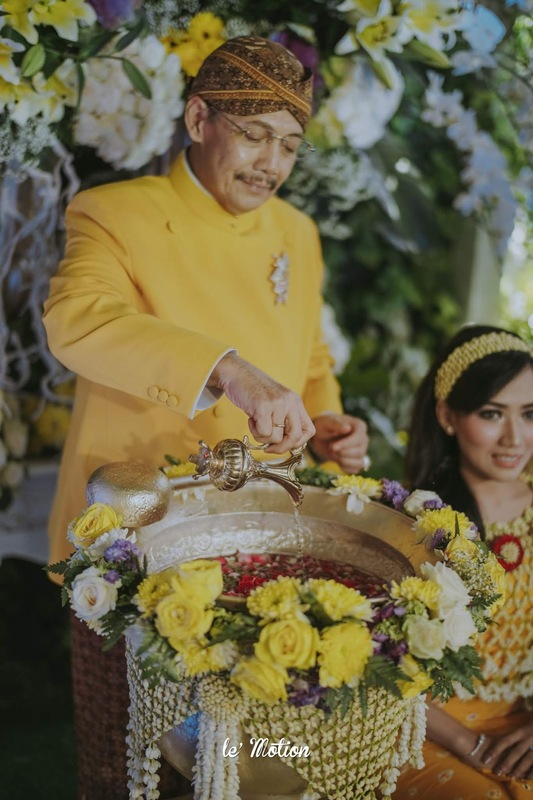 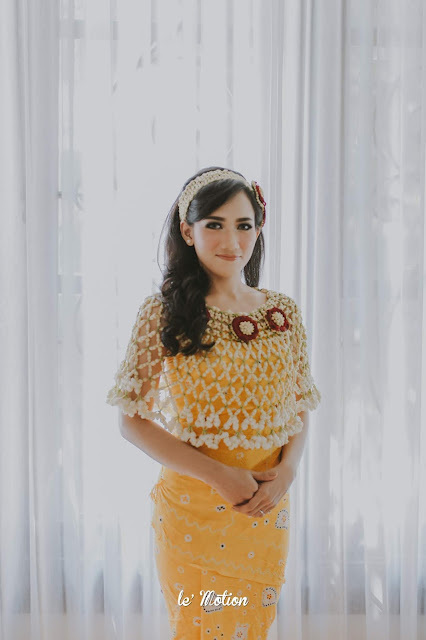 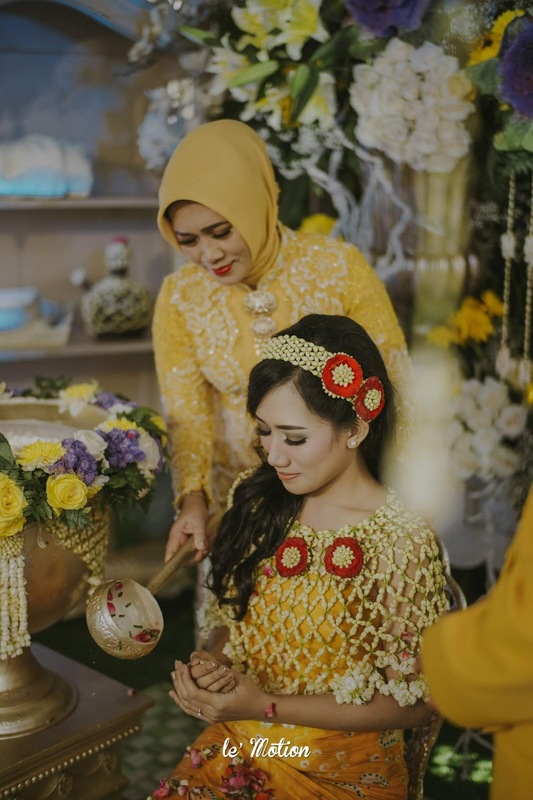 Fanda picks yellow as the main colour of her attires for the Siraman ritual and we absolutely love it. 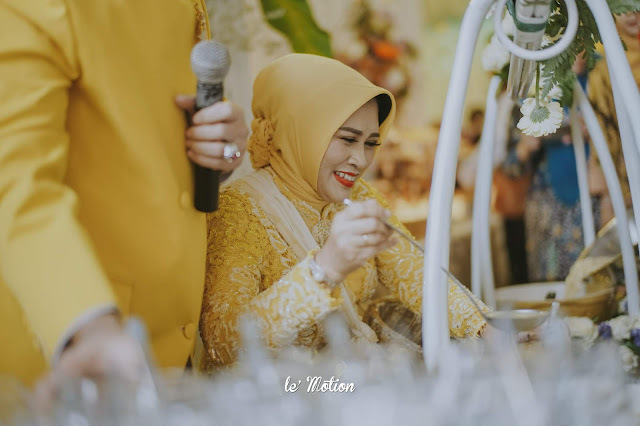 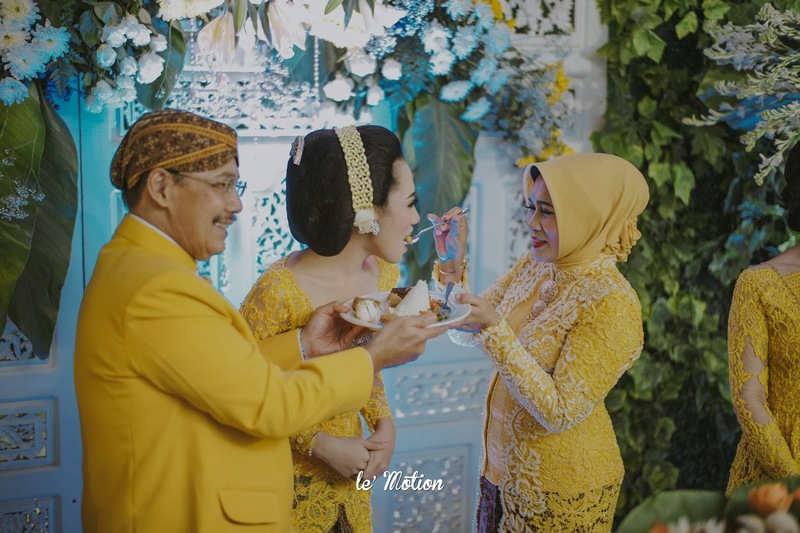 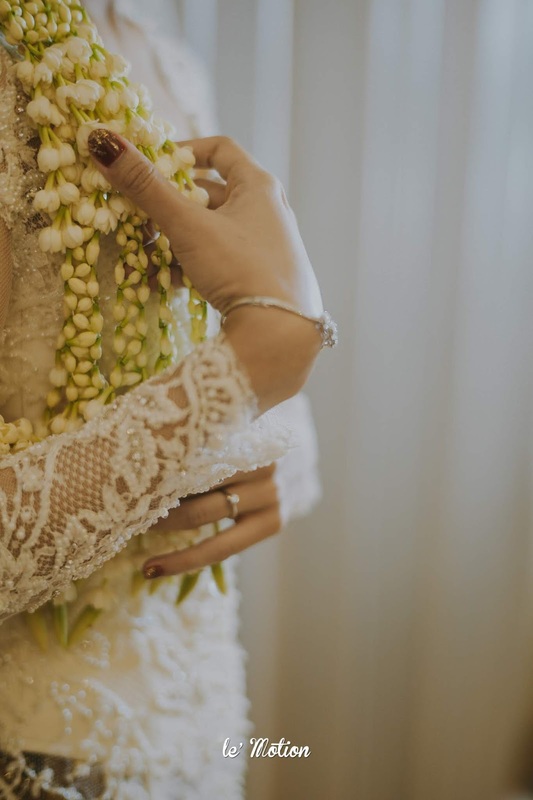 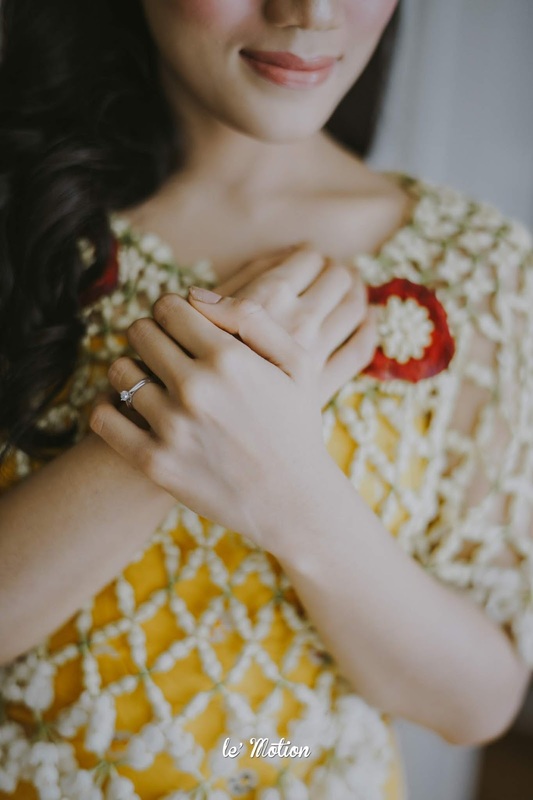 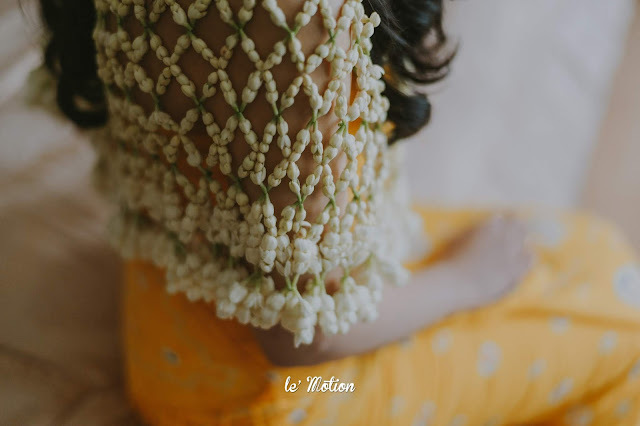 Yellow evokes feelings of joy and warm energy and thats how we feel throughout their wedding - a great deal of togetherness and affection. 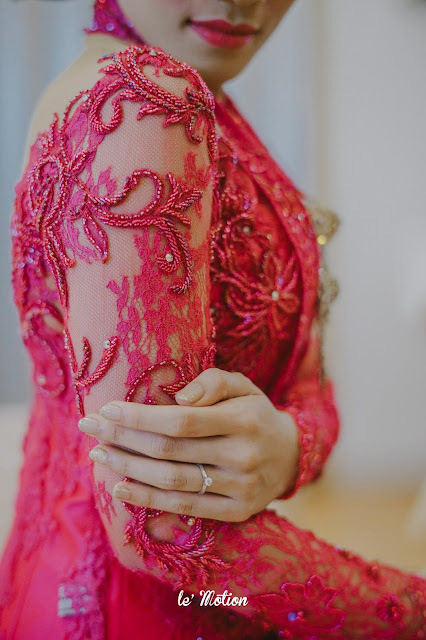 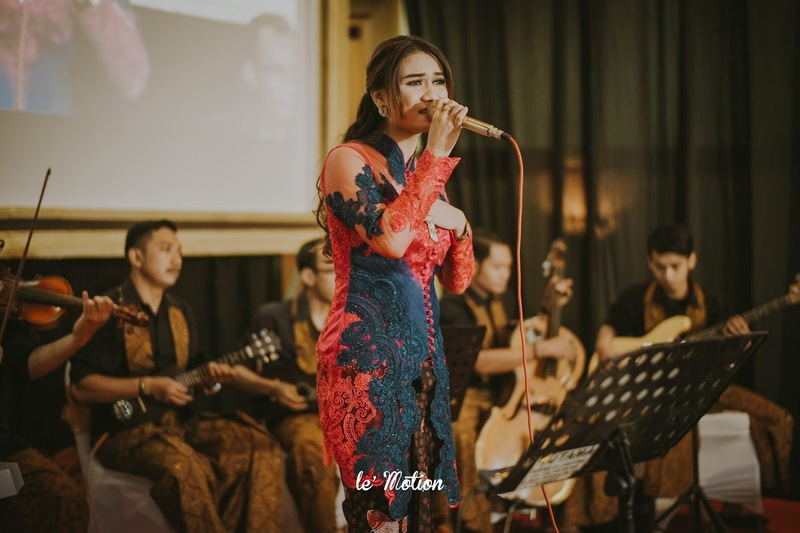 Later on the Midodareni night, Fanda was wrapped in fuchsia kebaya and she seems to be a true representation of the definition of Midadoreni word itself, which is "angel". 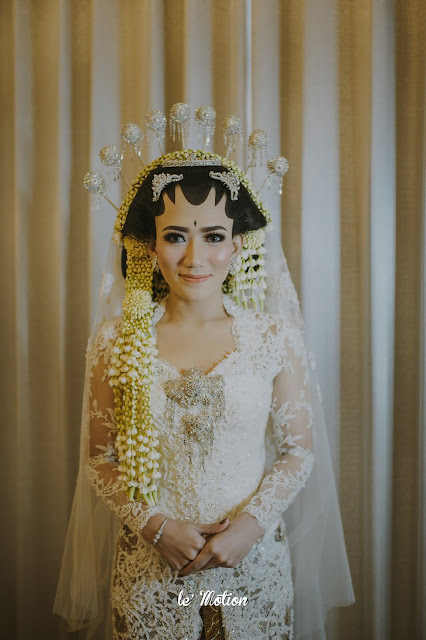 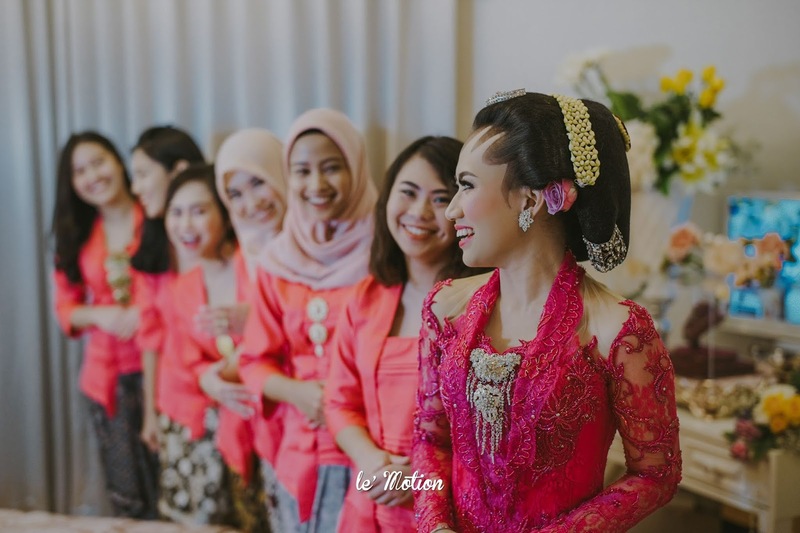 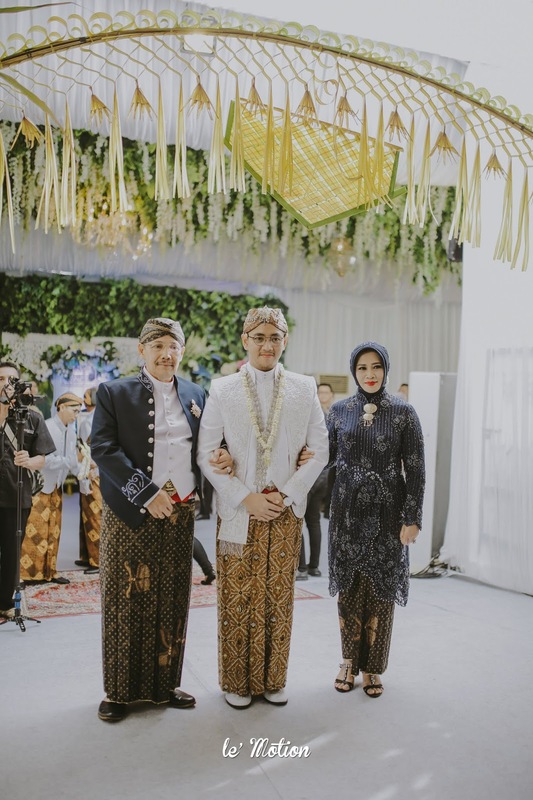 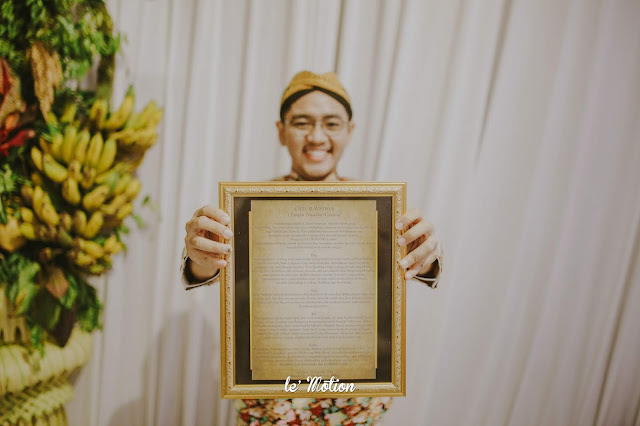 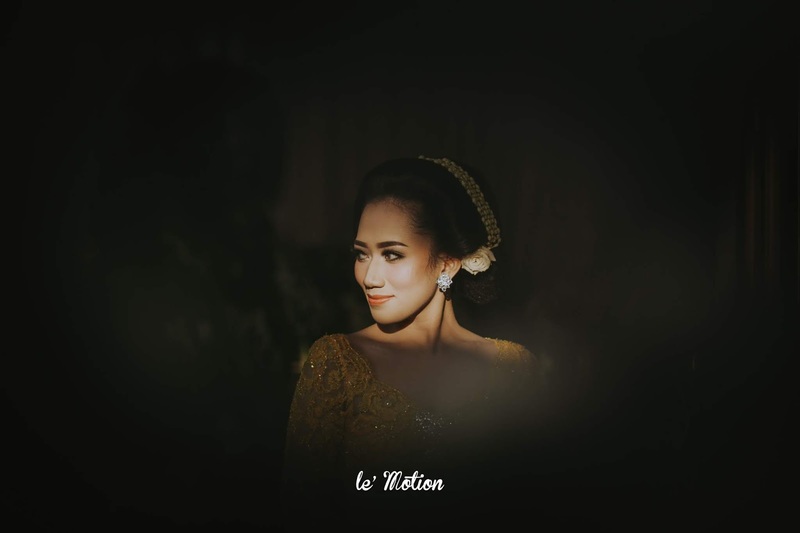 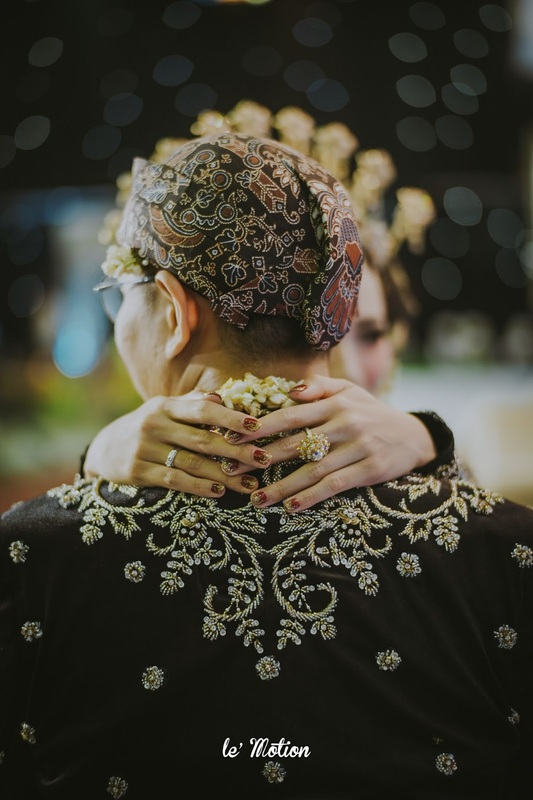 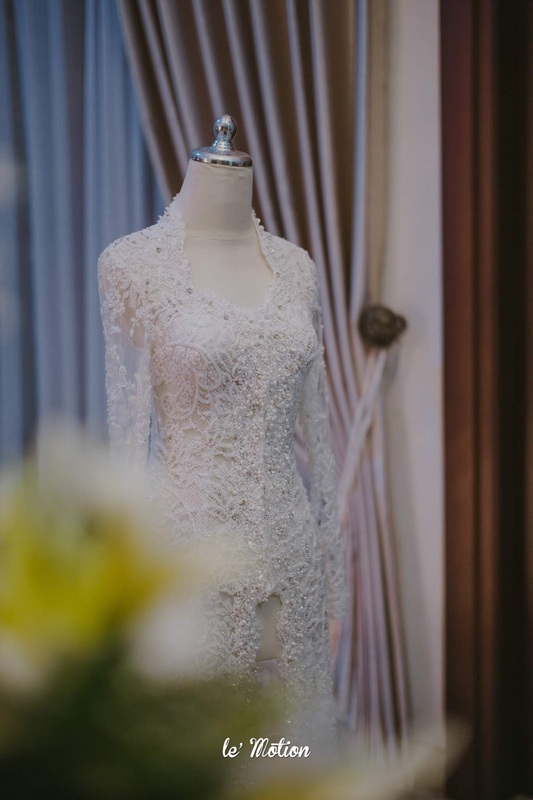 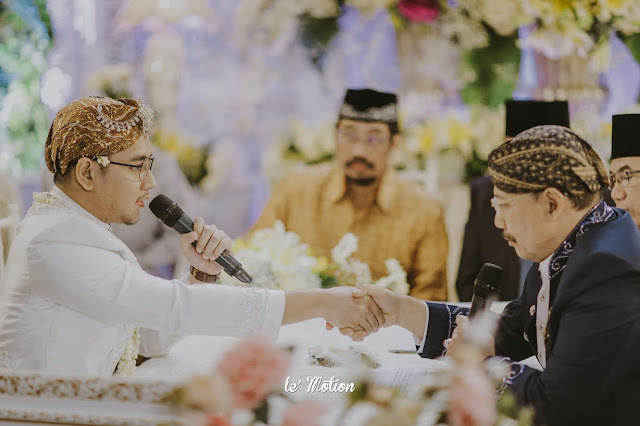 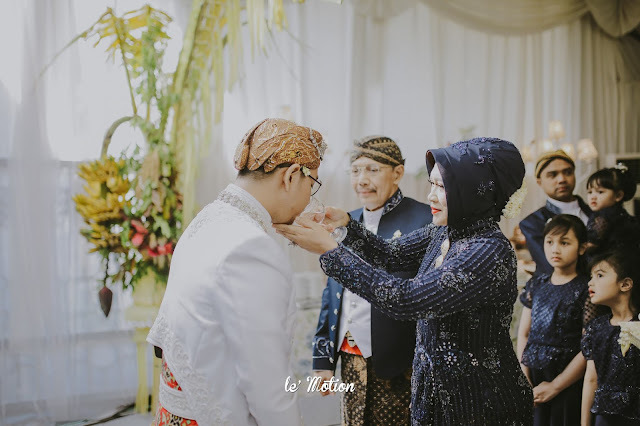 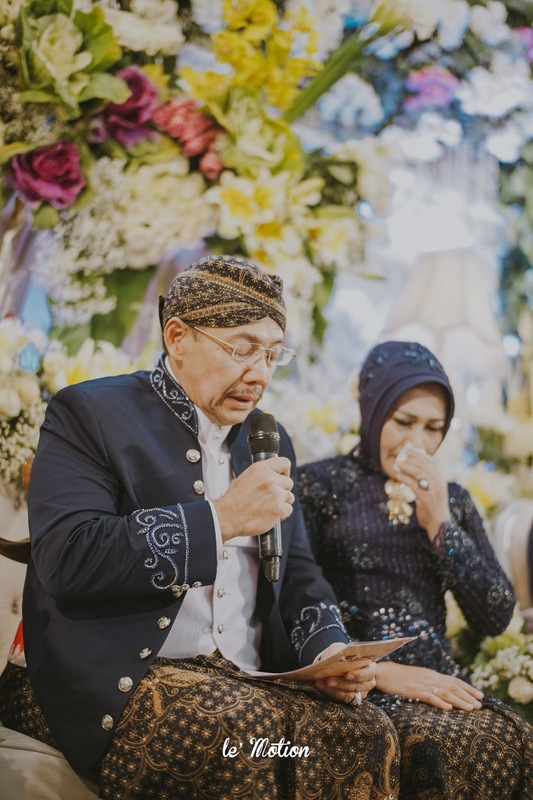 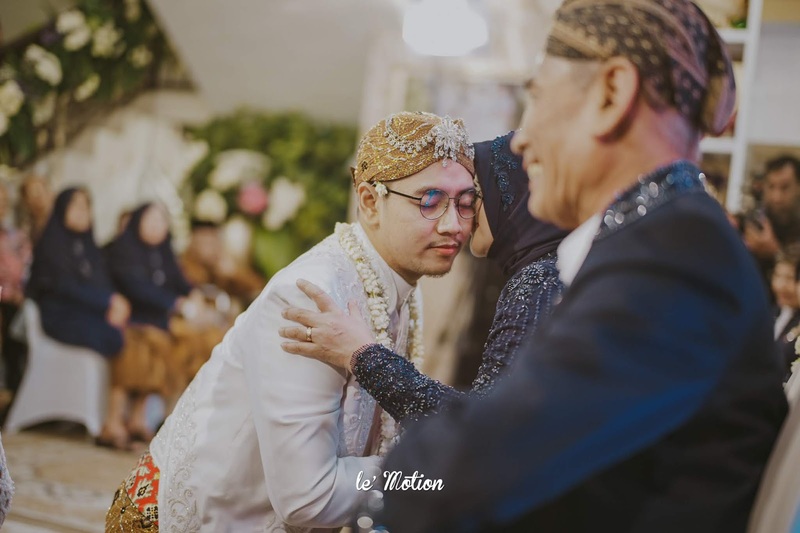 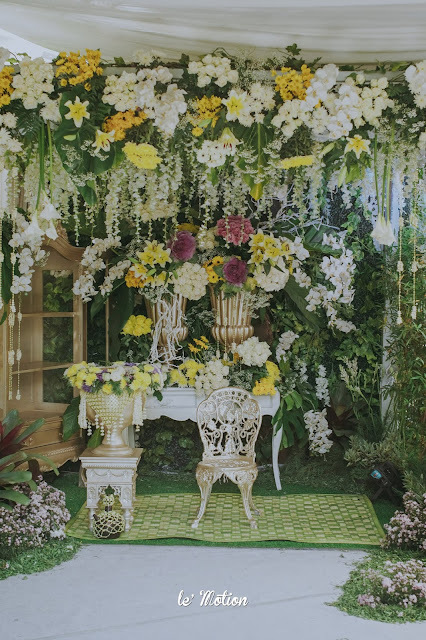 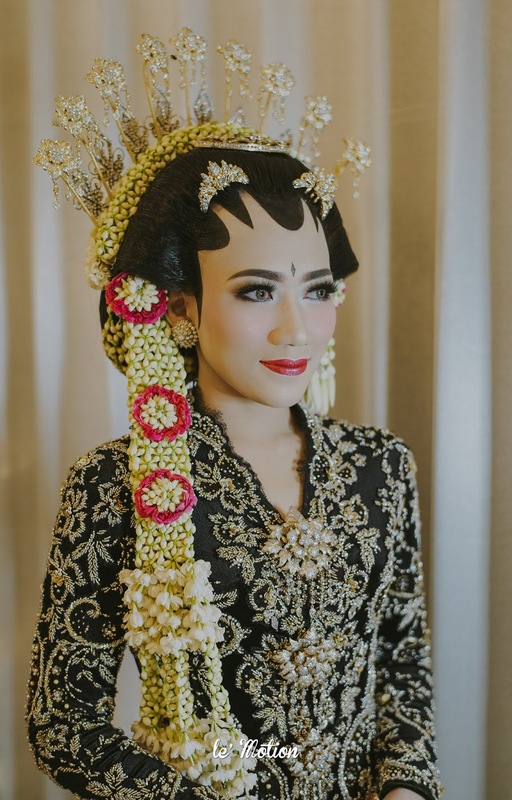 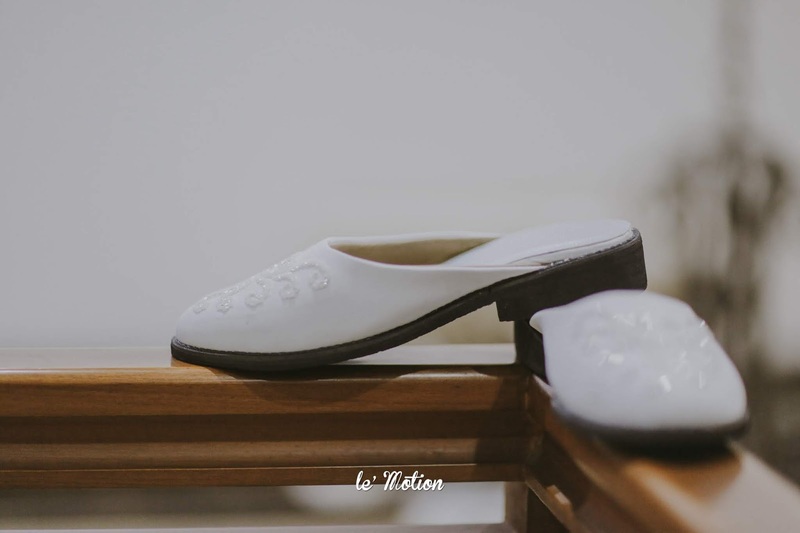 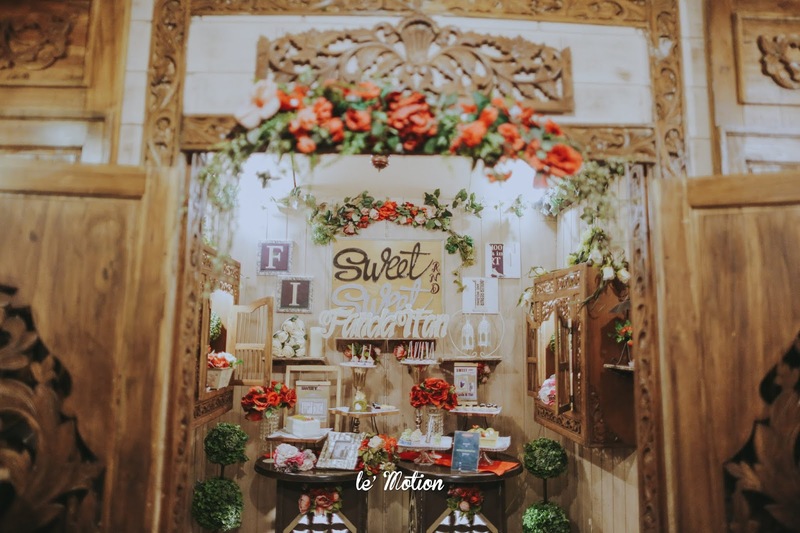 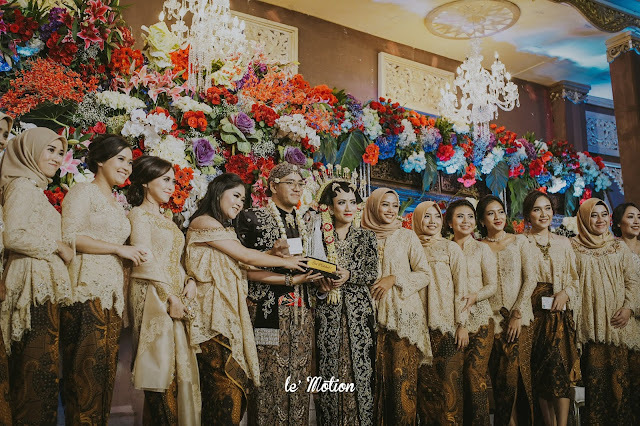 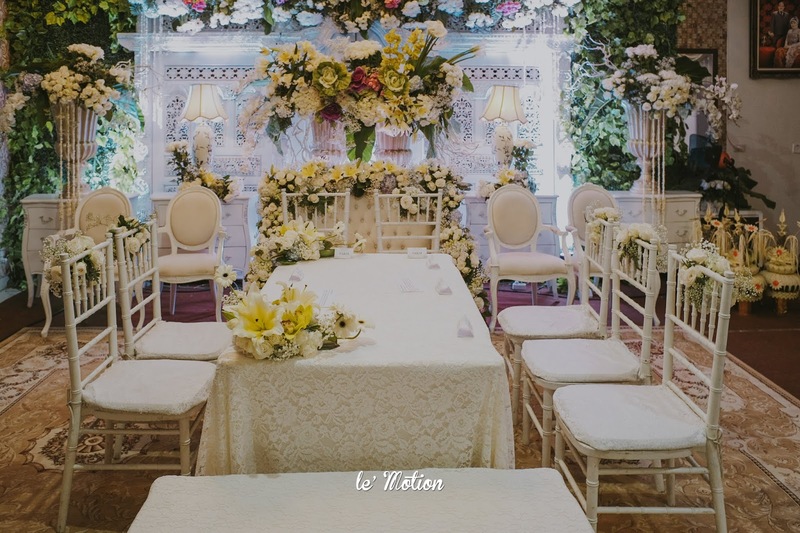 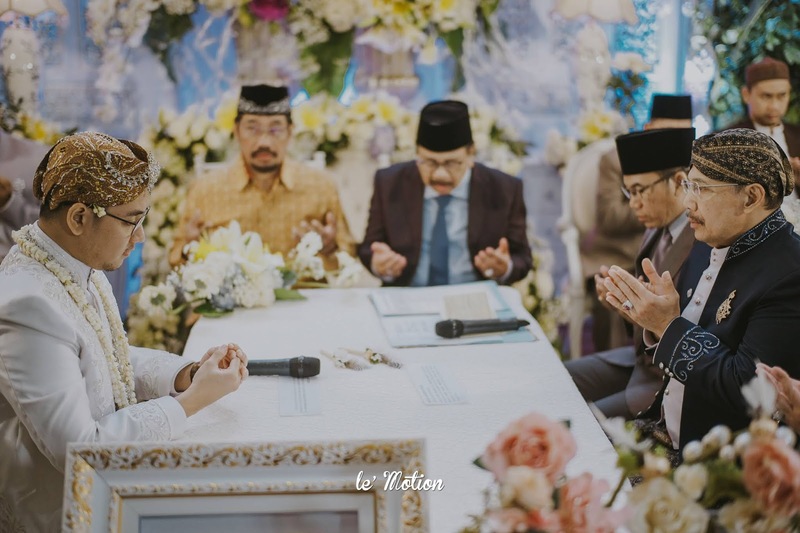 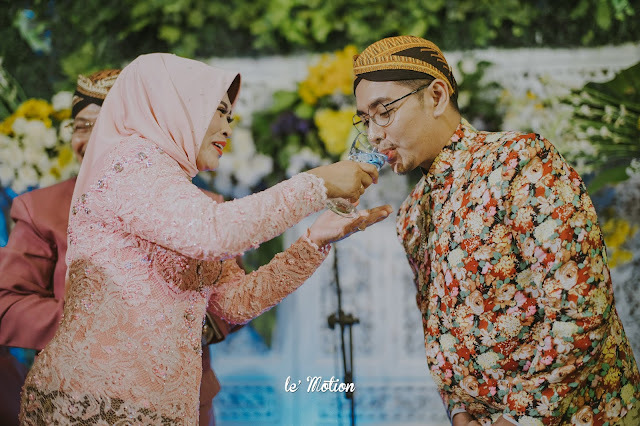 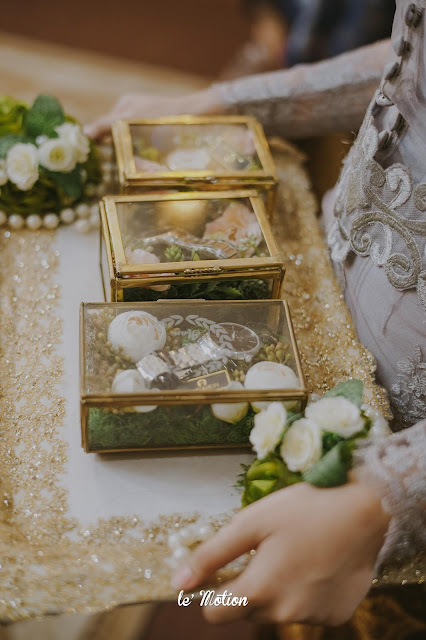 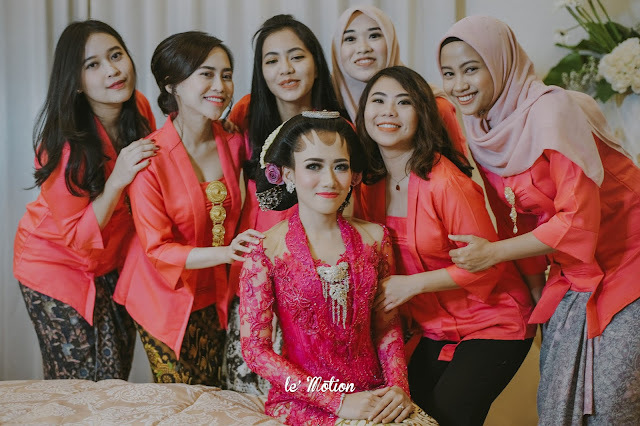 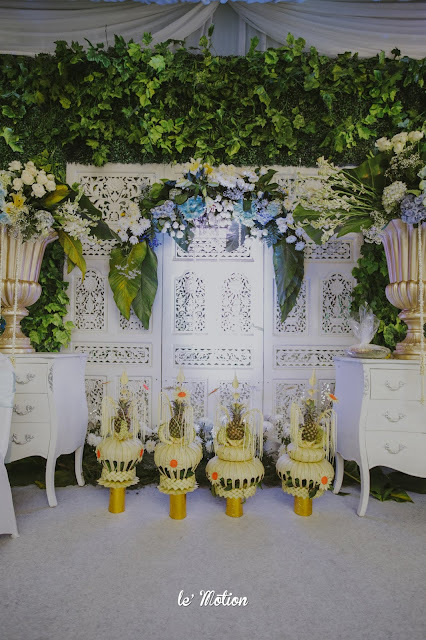 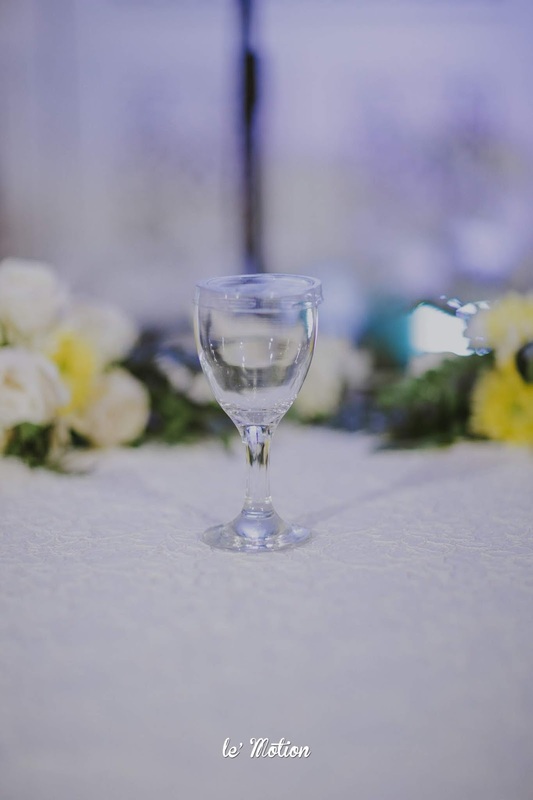 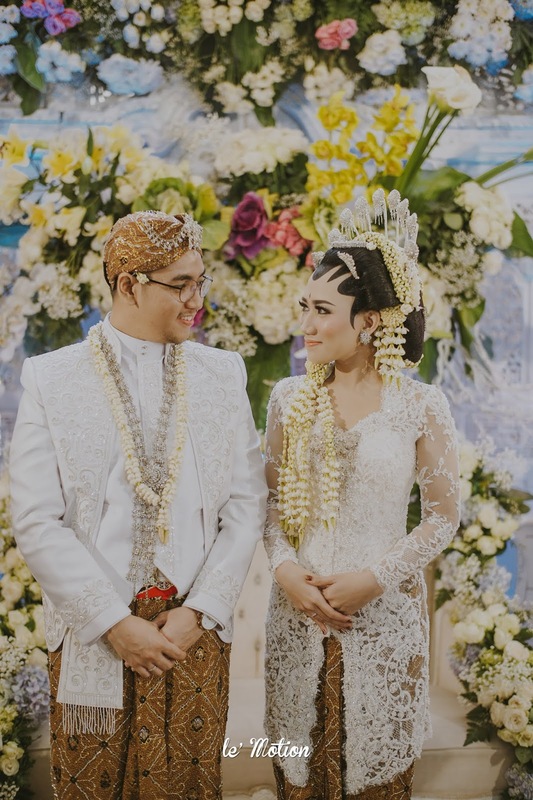 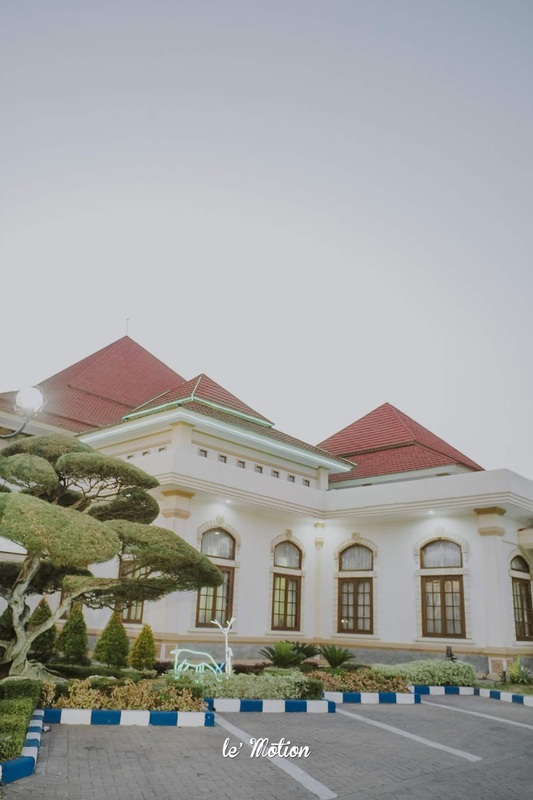 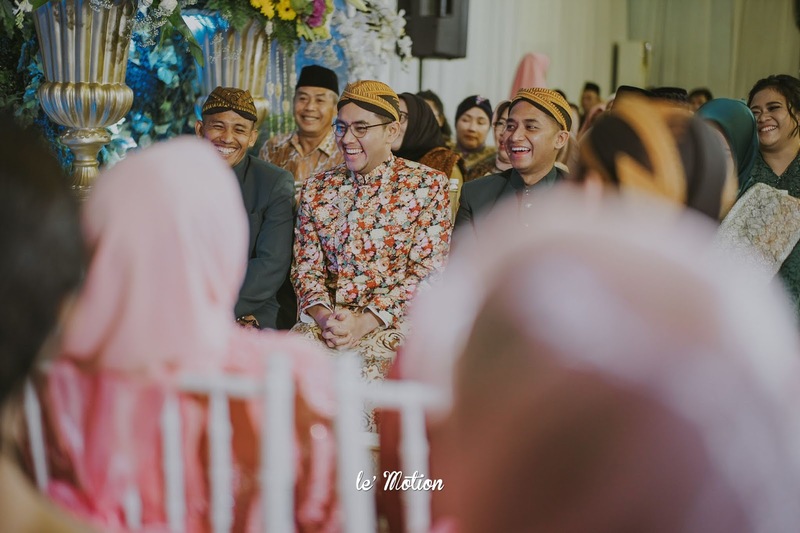 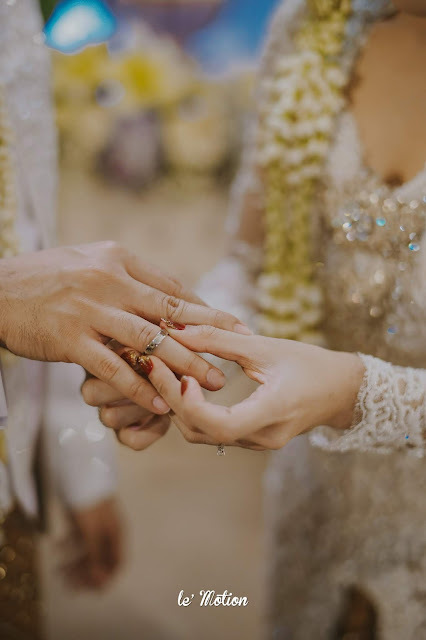 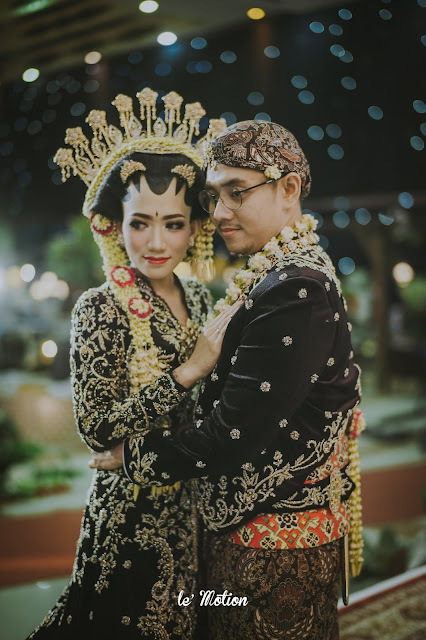 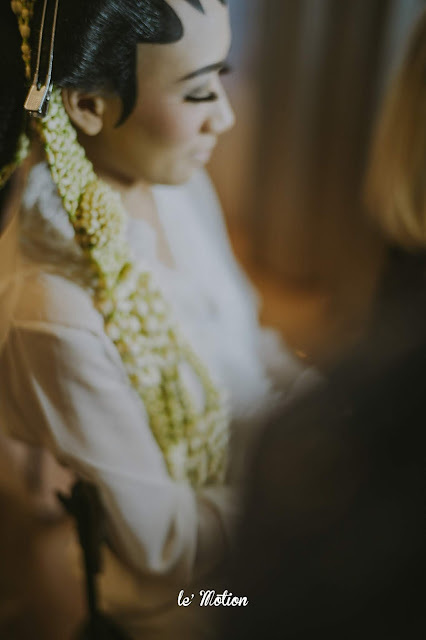 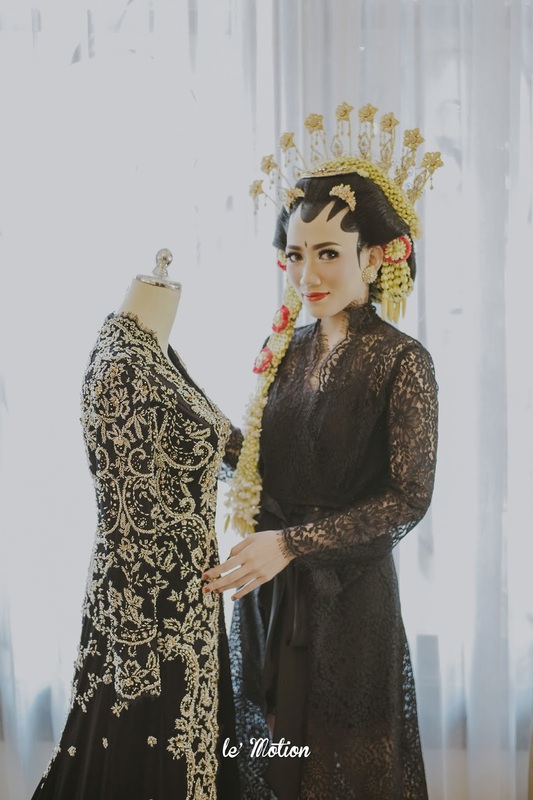 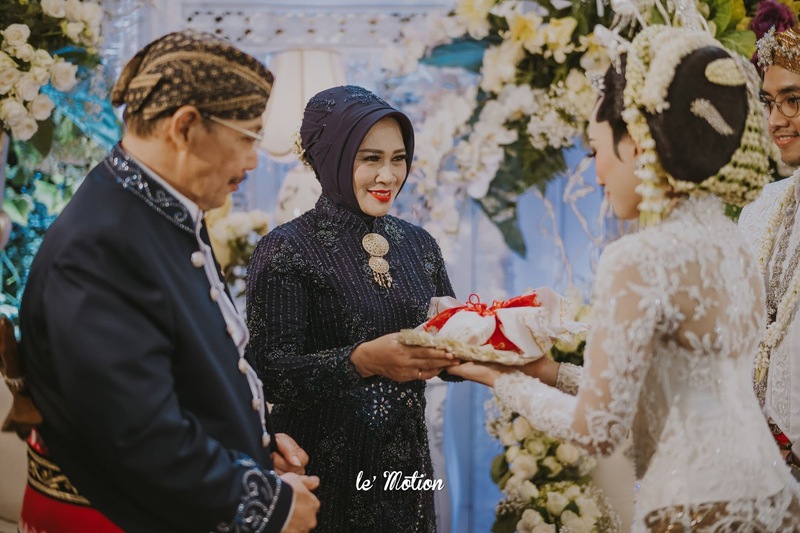 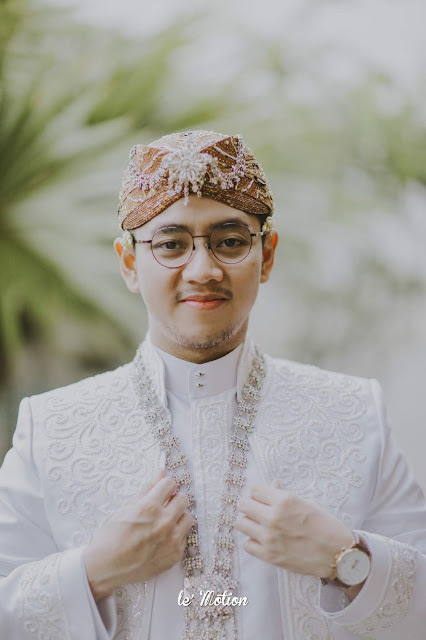 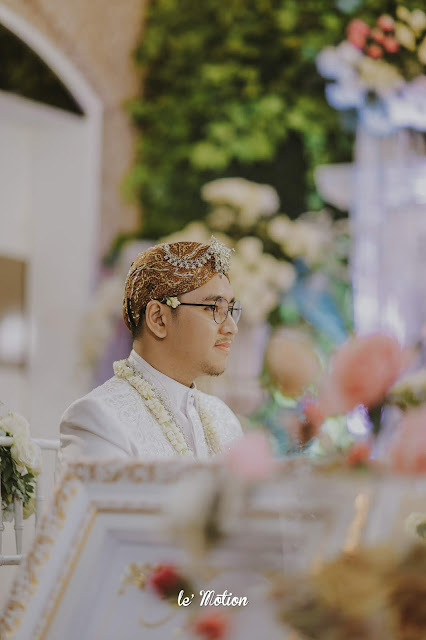 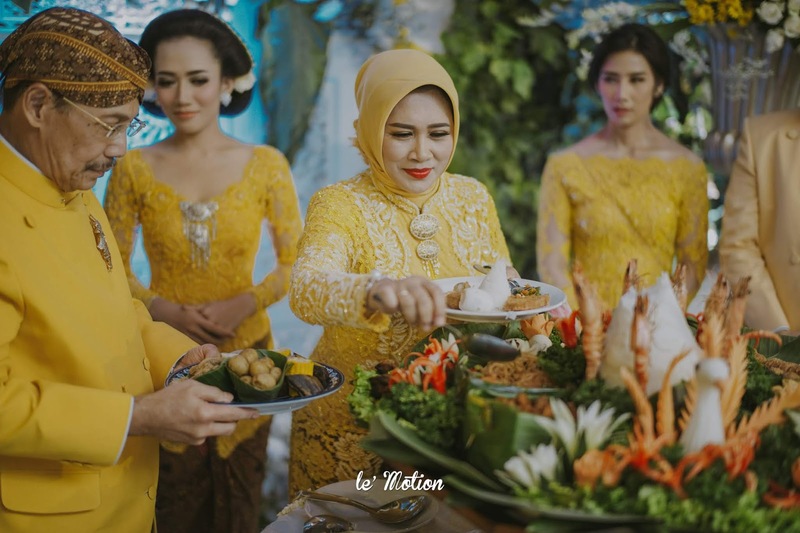 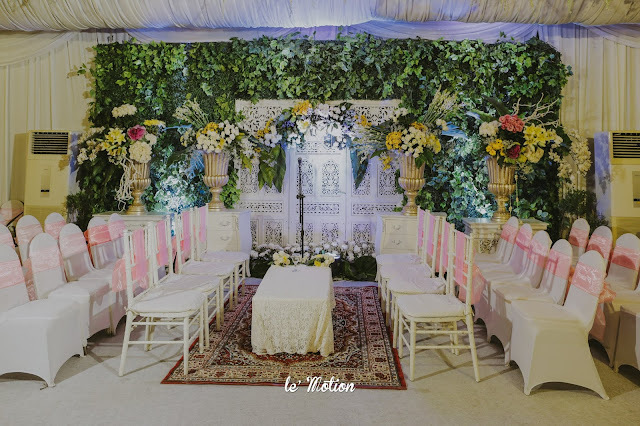 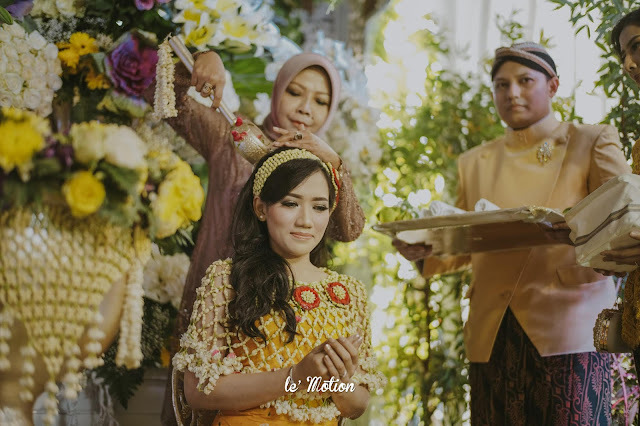 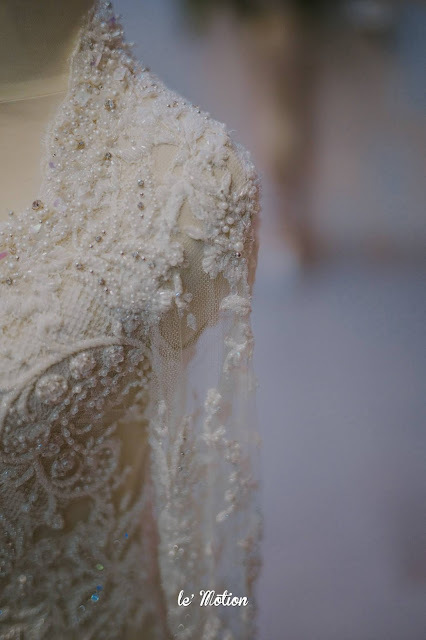 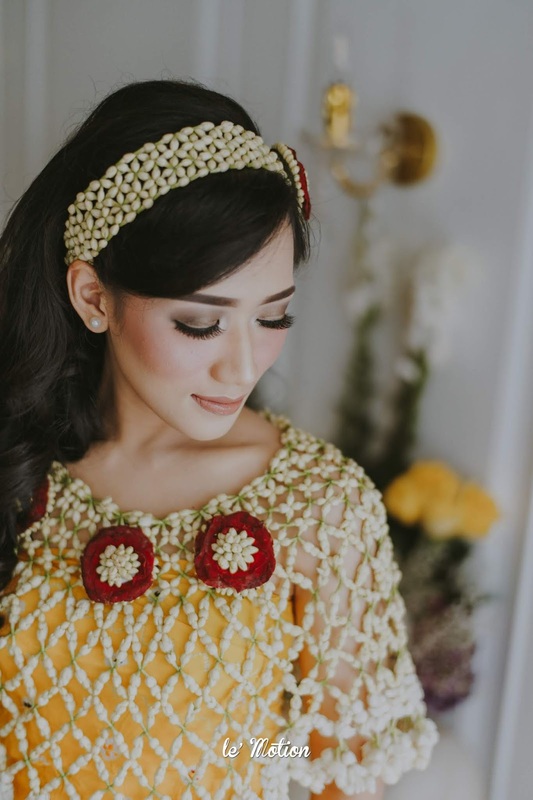 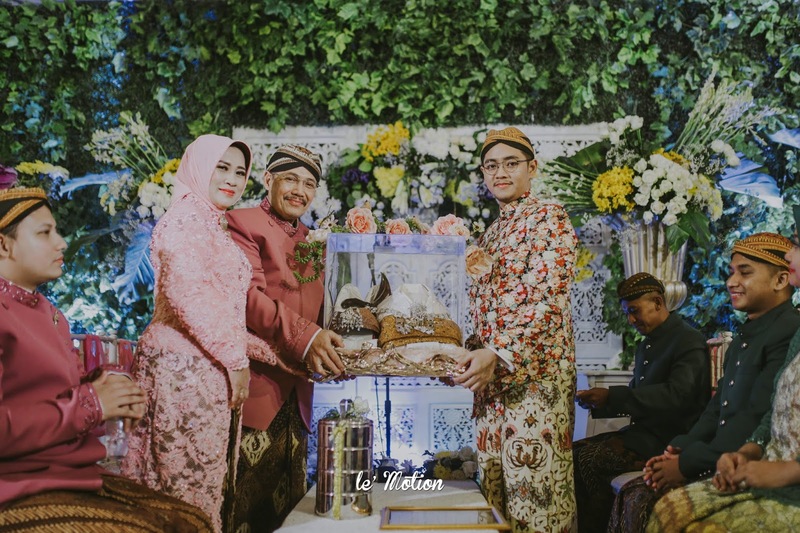 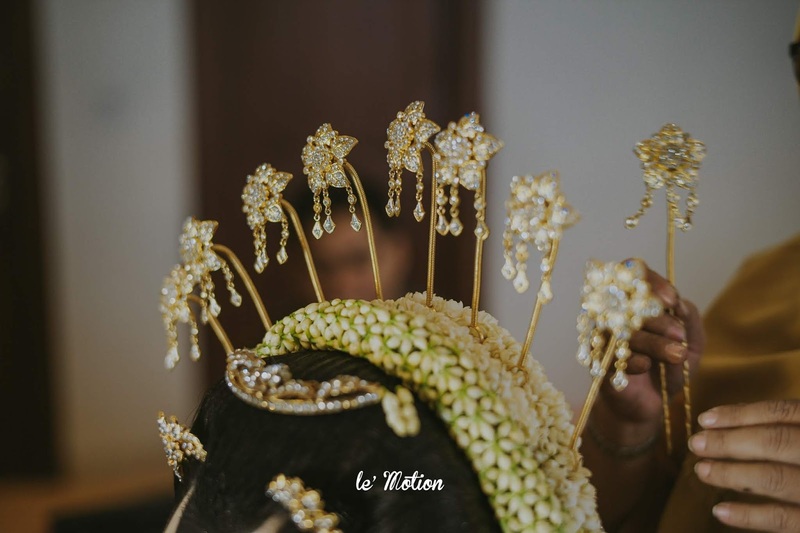 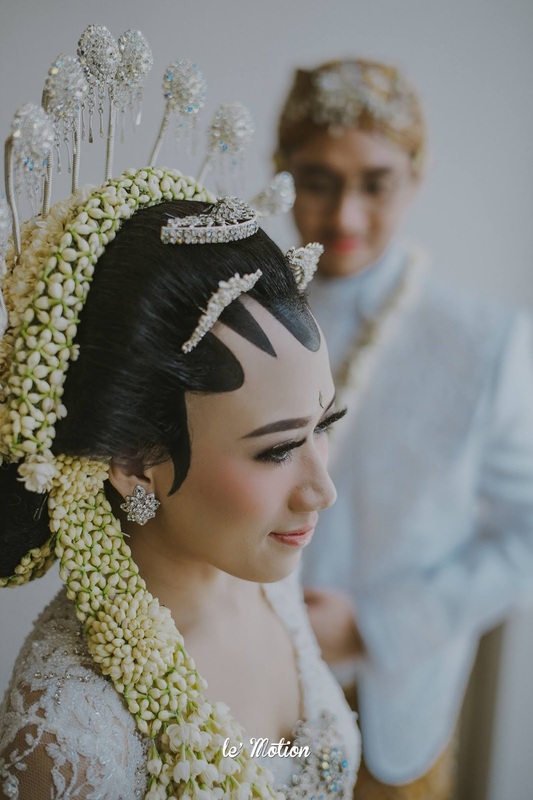 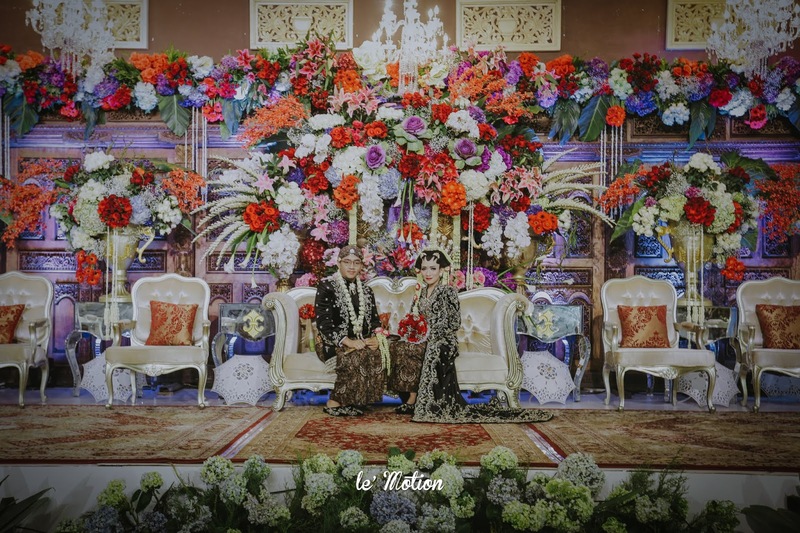 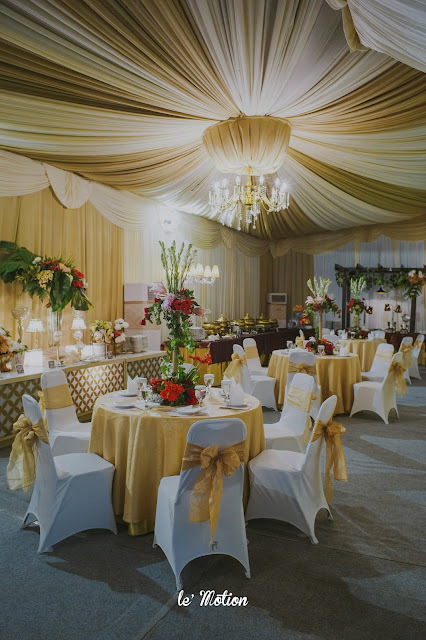 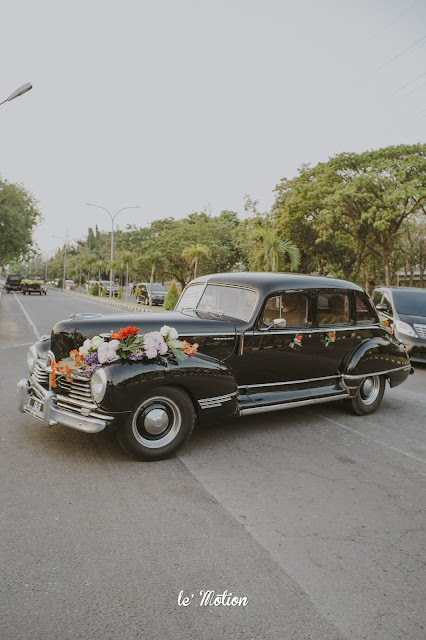 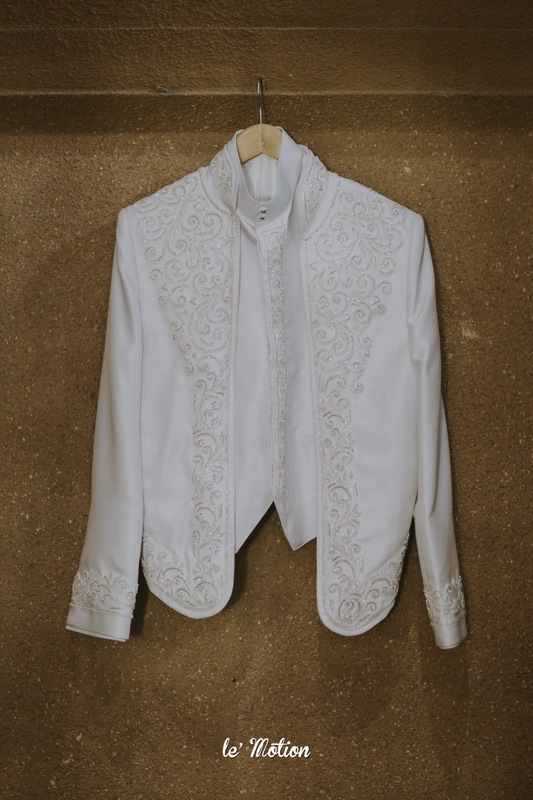 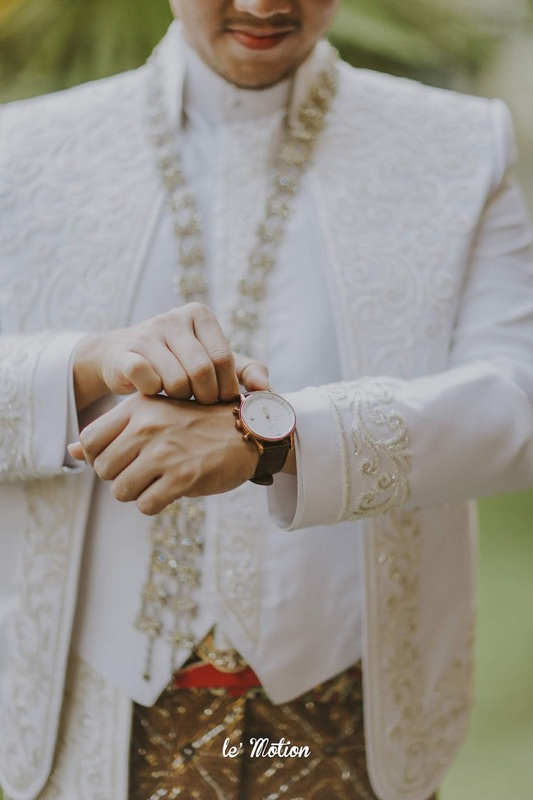 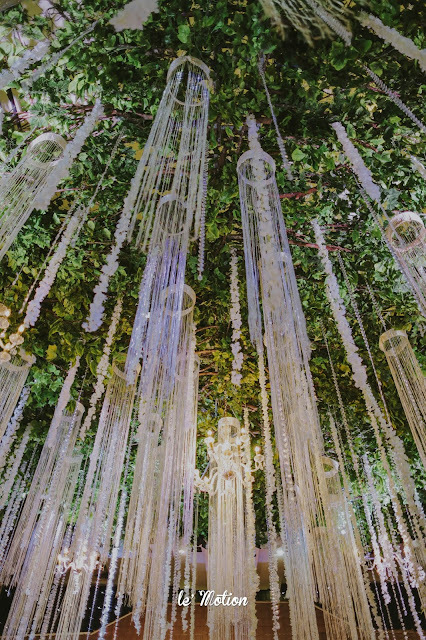 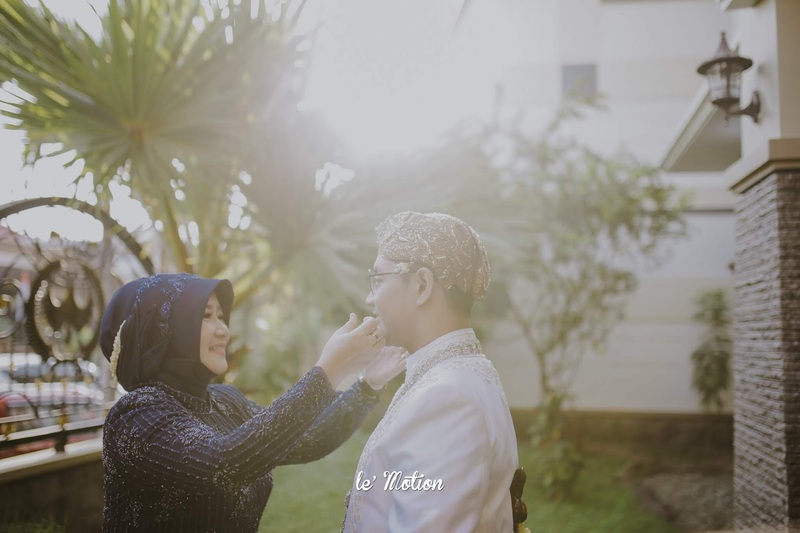 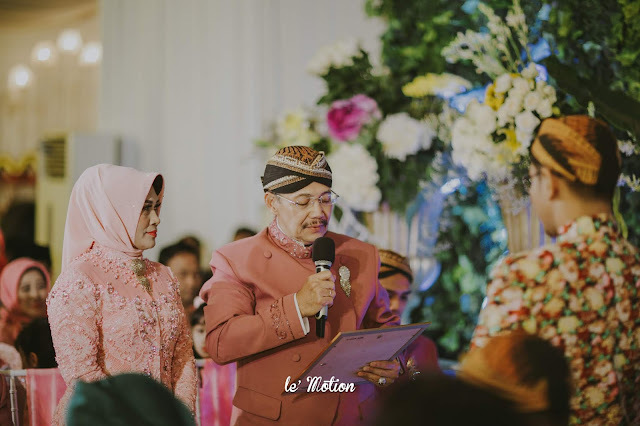 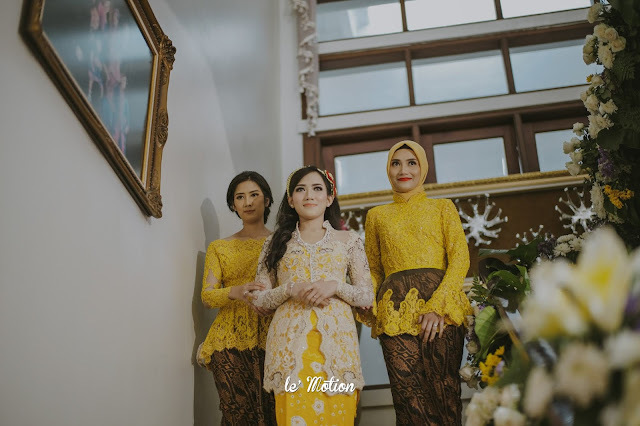 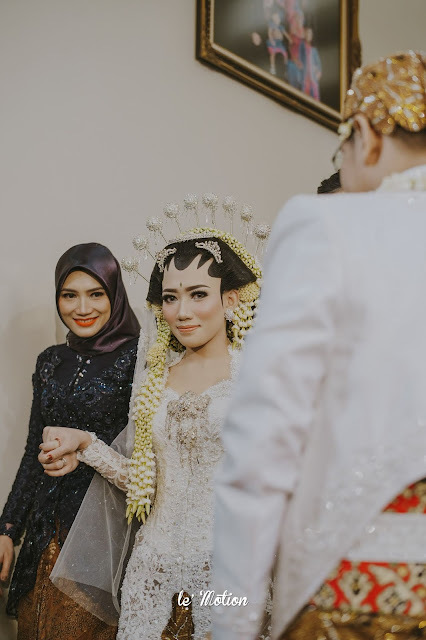 The Wedding Solemnization was held on the day after at Fanda’s parents’ residence with Javanese tradition vibe. 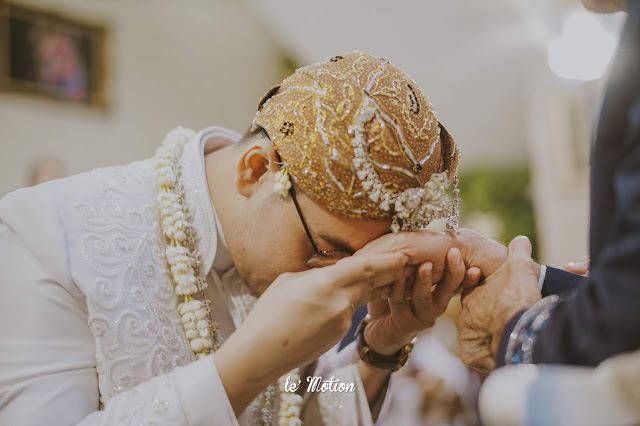 With the prayer & blessings from their parents, the sacred solemnization went well. 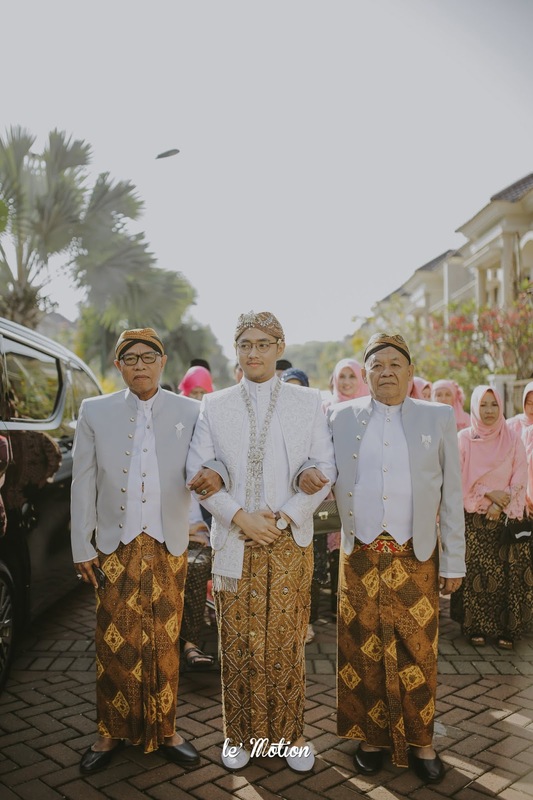 Their parents, family and relatives who attend the special occasion are being grateful for it. 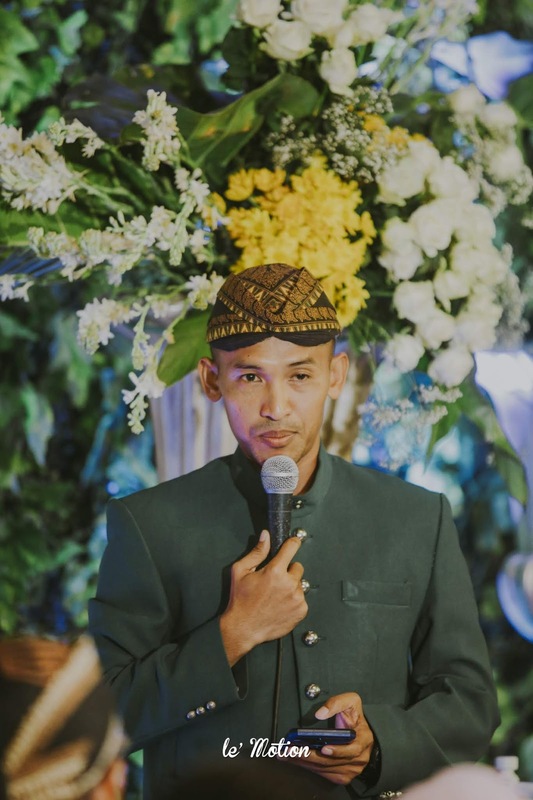 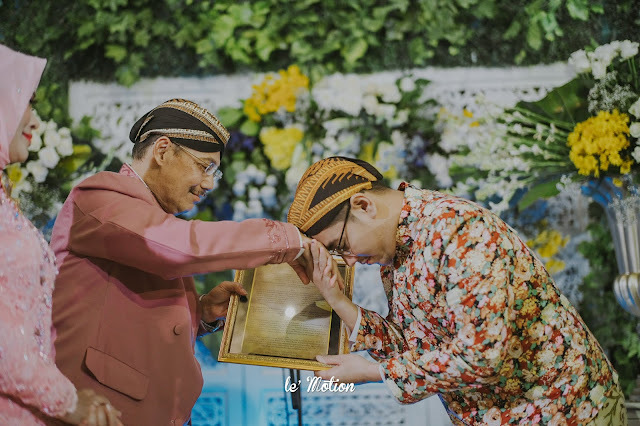 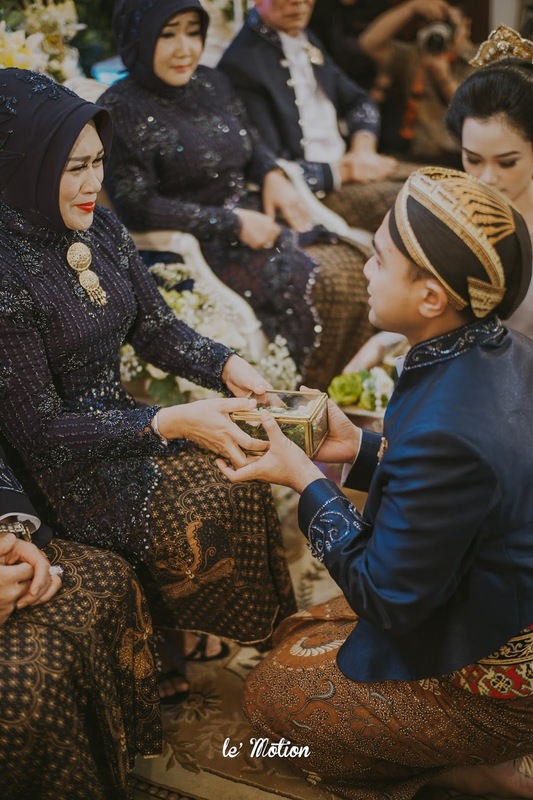 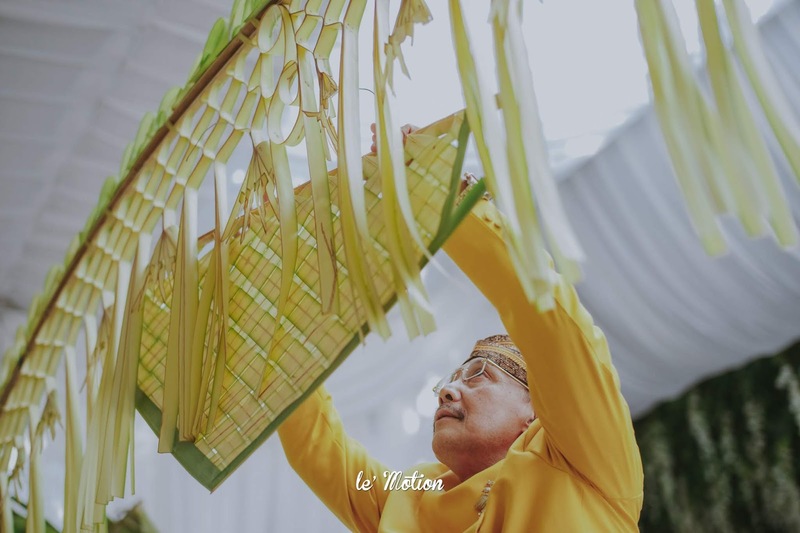 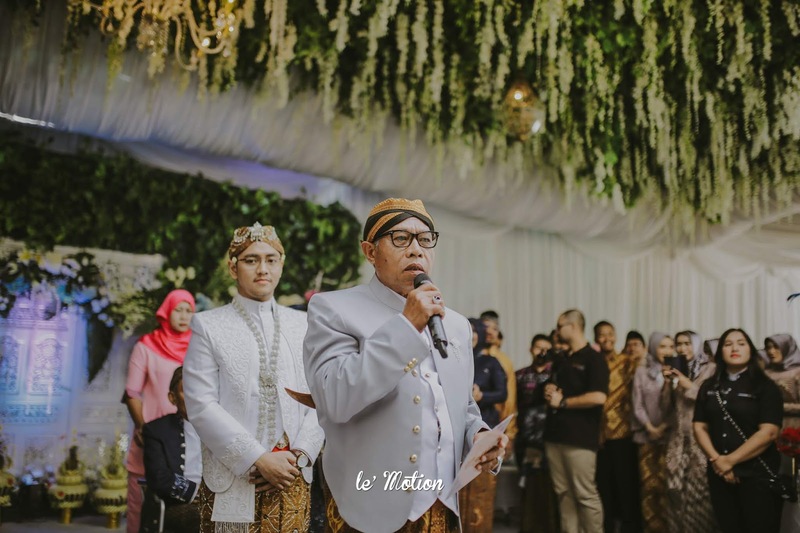 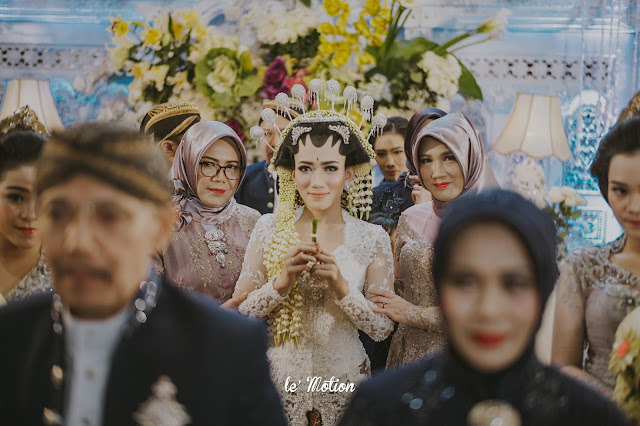 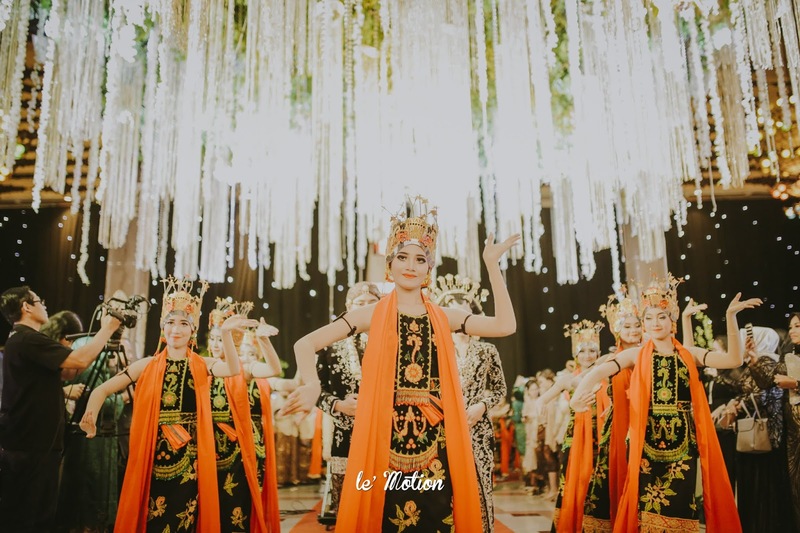 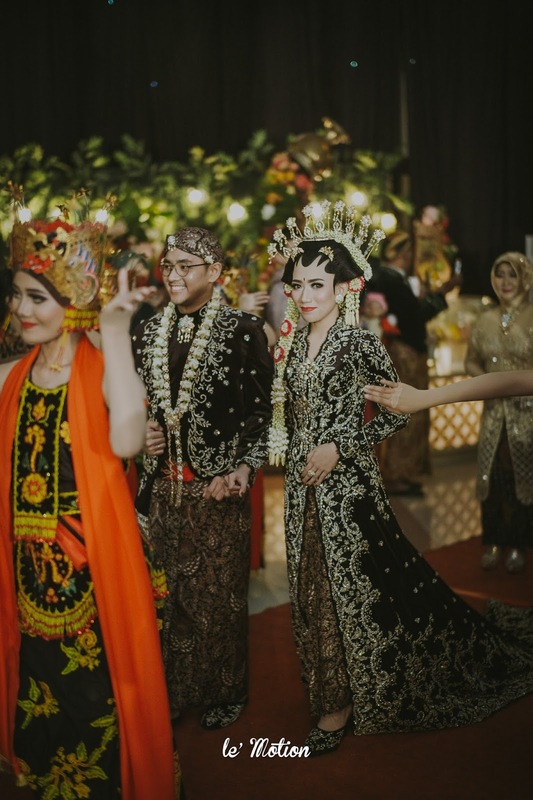 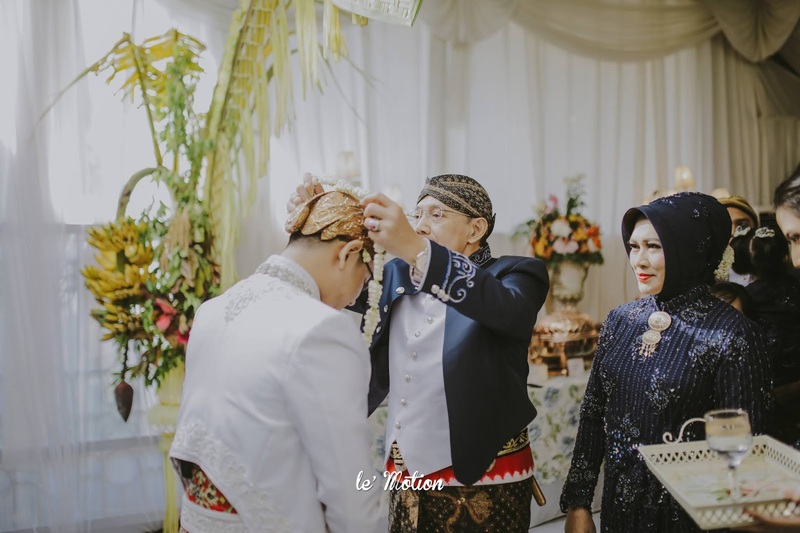 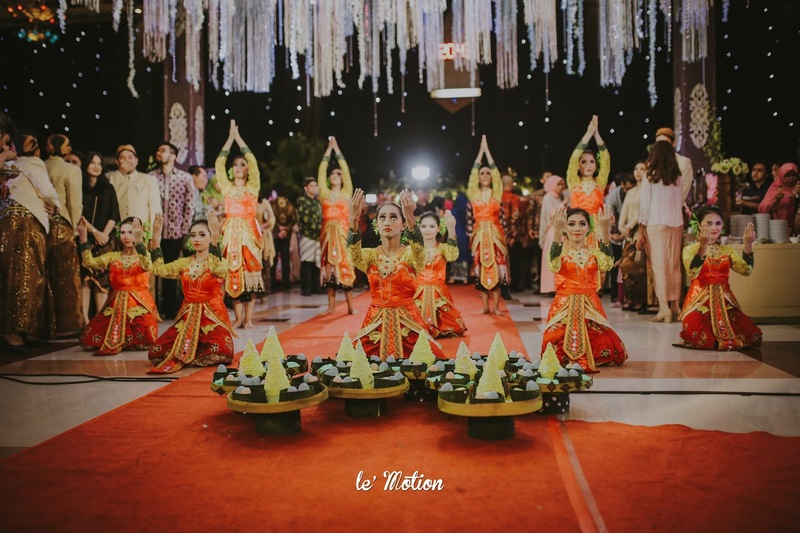 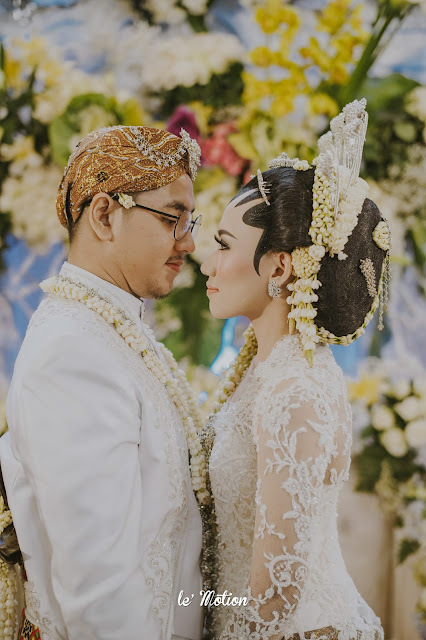 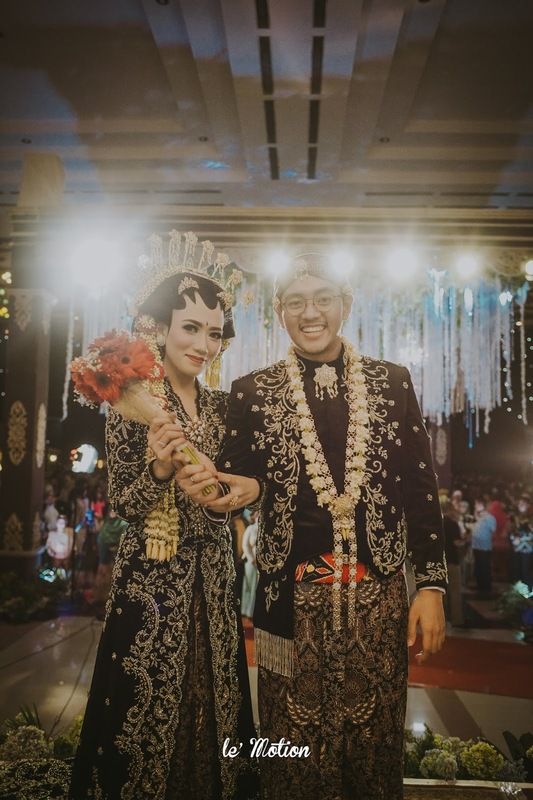 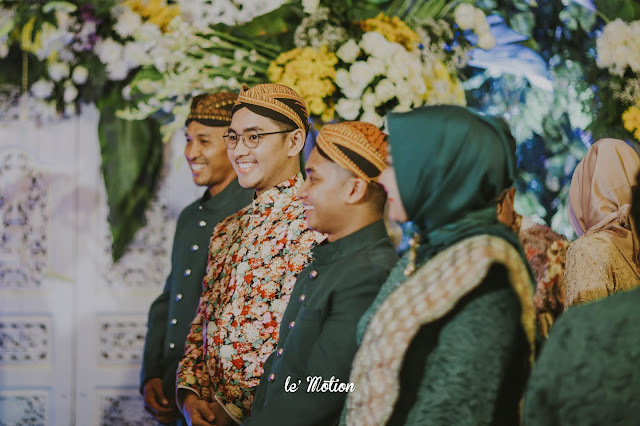 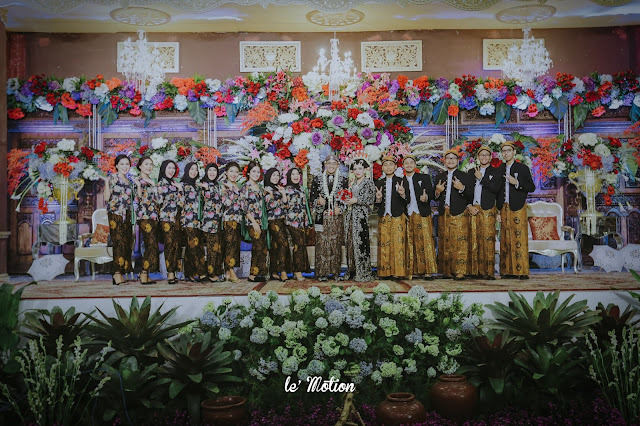 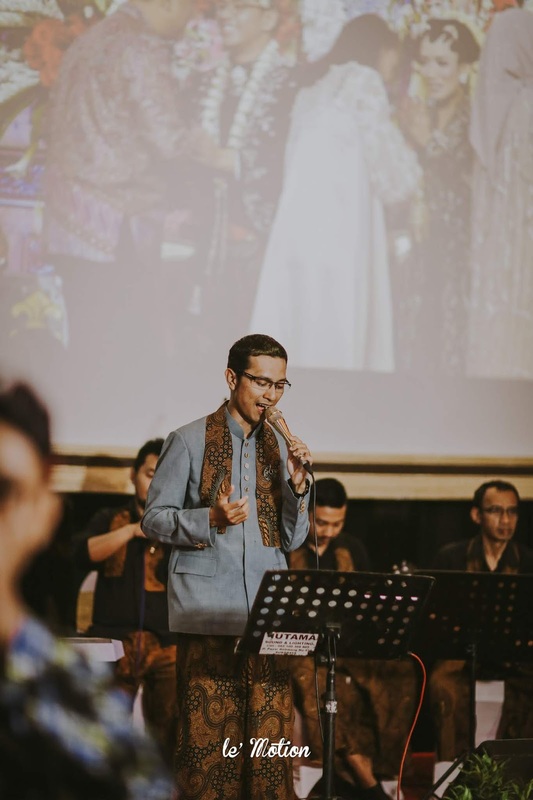 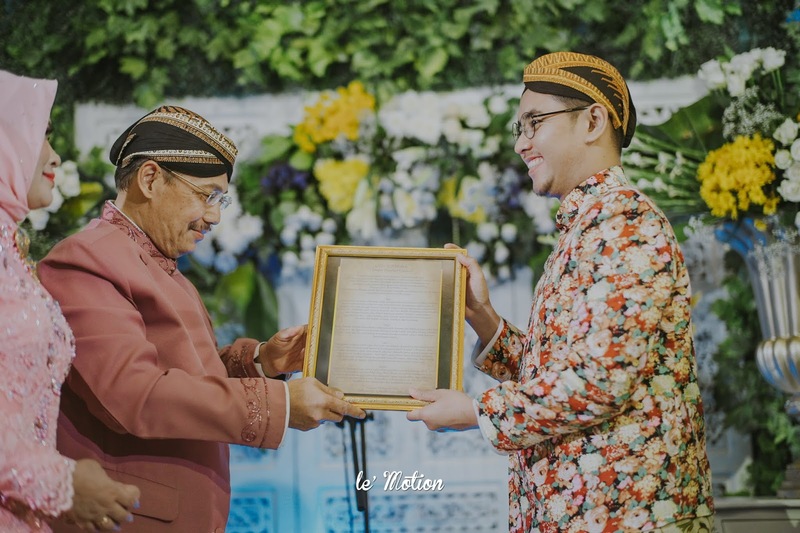 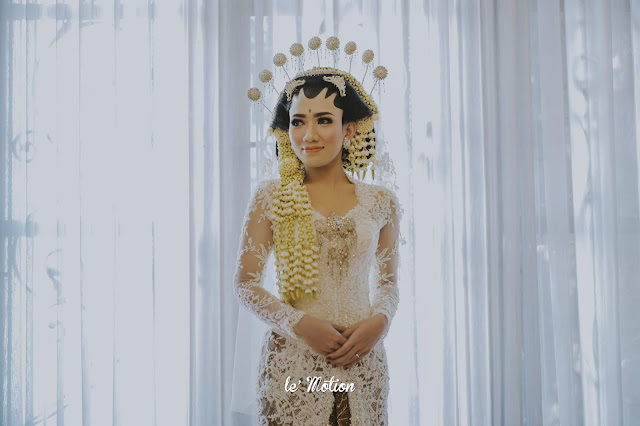 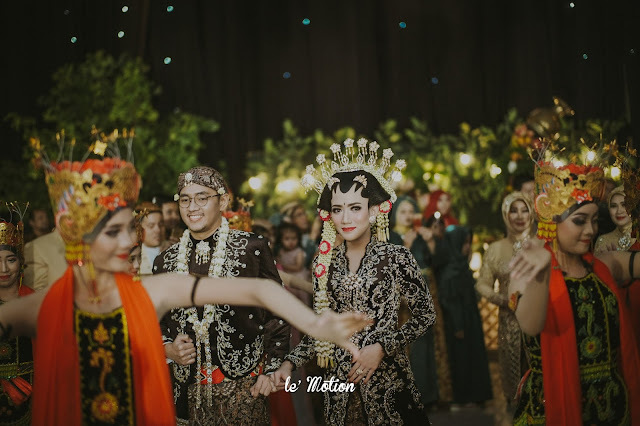 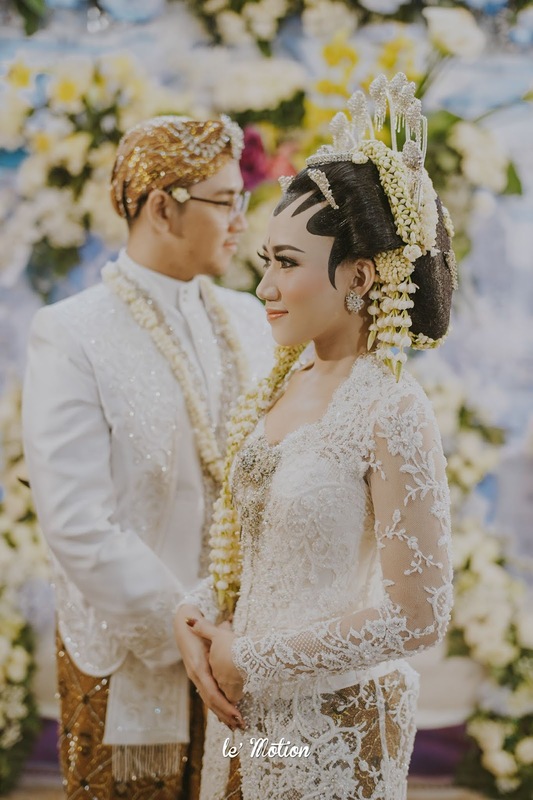 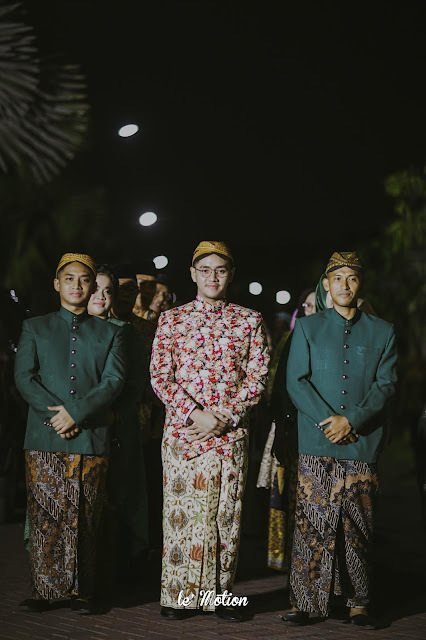 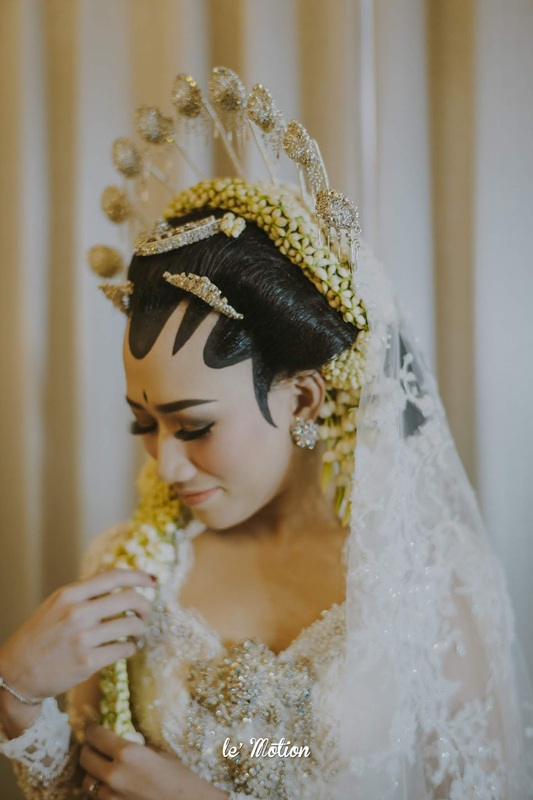 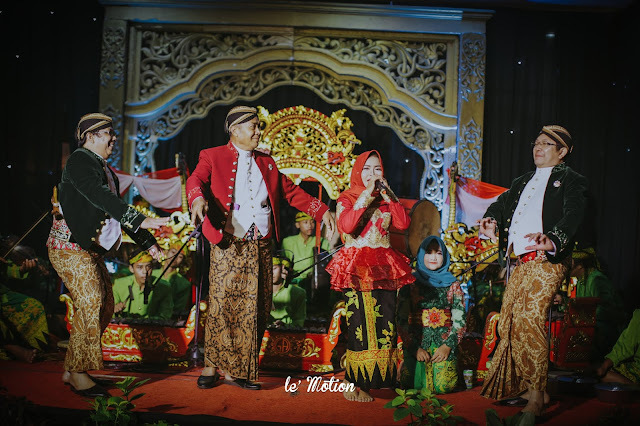 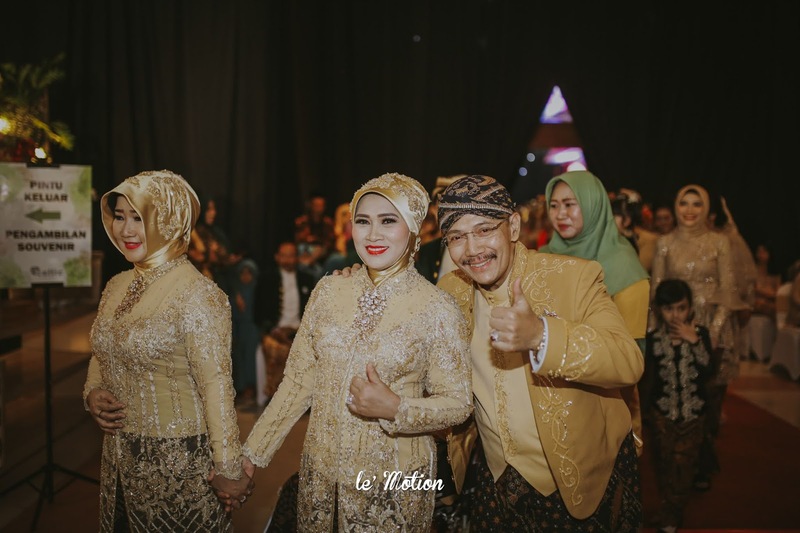 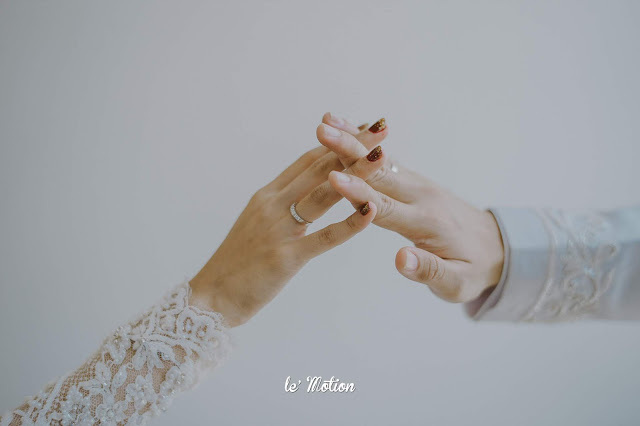 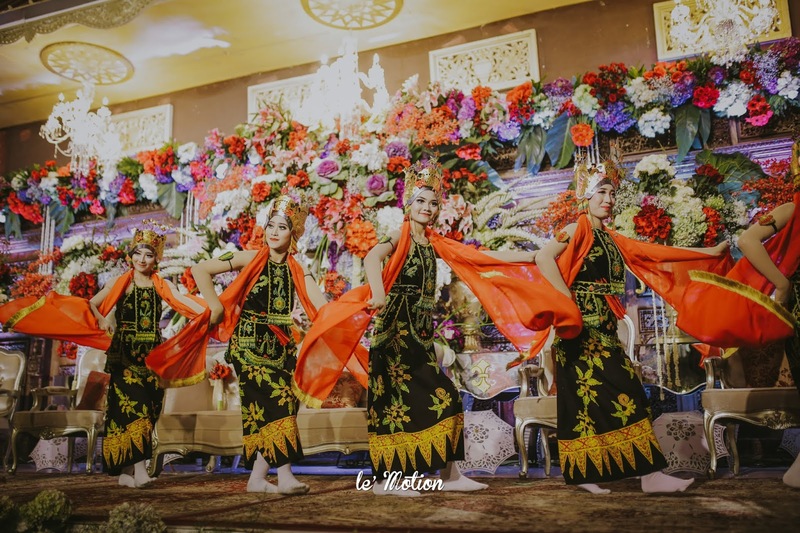 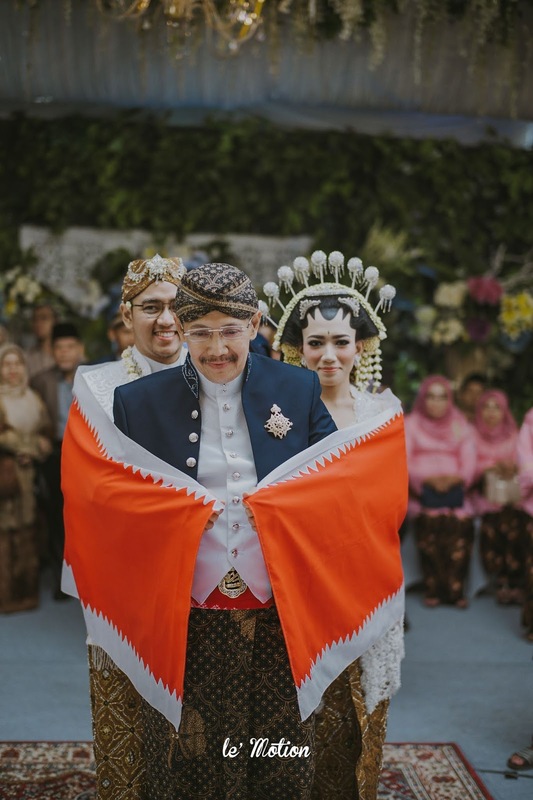 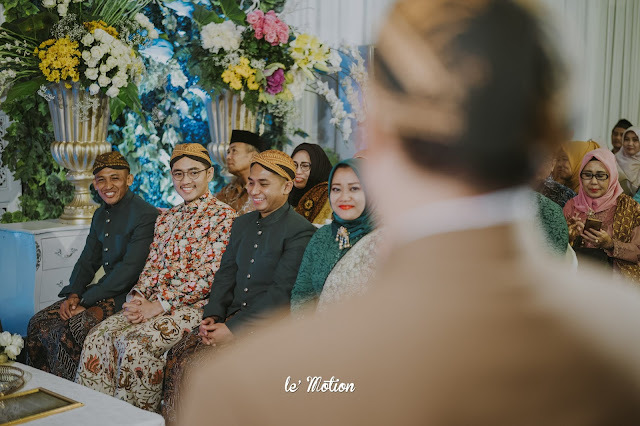 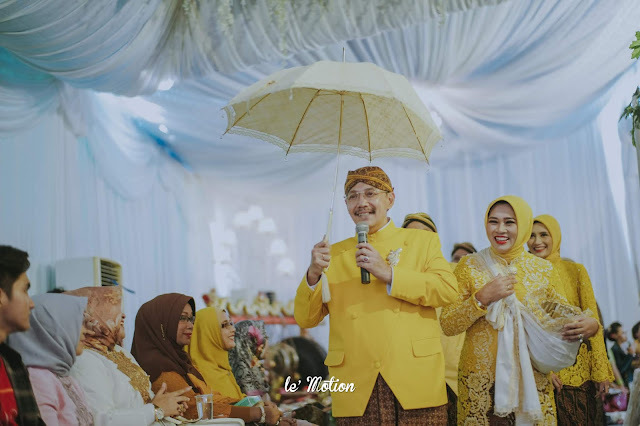 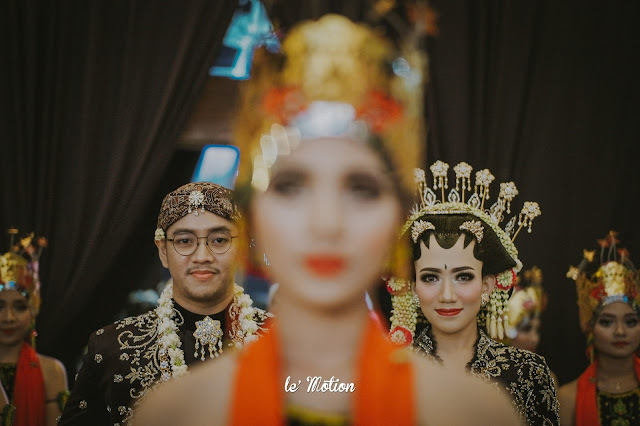 One of our favorites from the wedding series of Fanda & Ifan is the Jejer Gandrung Dance that was performed by 30 dancers on the Wedding Reception. 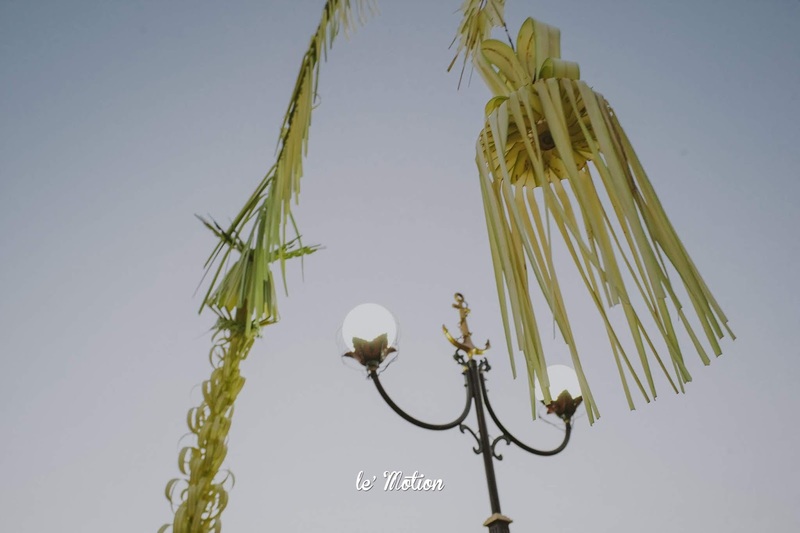 The Dance is one of Banyuwangi’s traditional arts and derived from the Osing Languange (Banyuwangi’s original language) which stands for being performed (Jejer) and happiness (Gandrung). Jejer Gandrung Dance comes from Kemiren, an area at Ijen Mountain’s foothill. 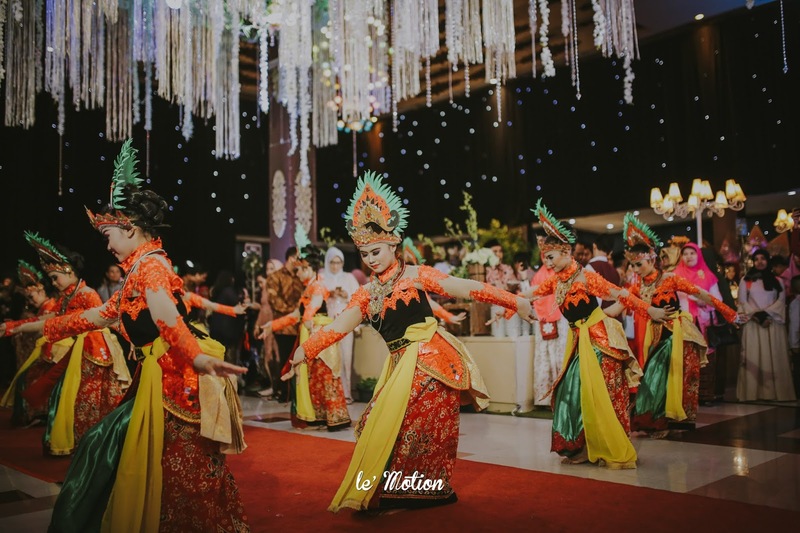 The Dance is performed by young girls that looks harmonious, elegant & charming! 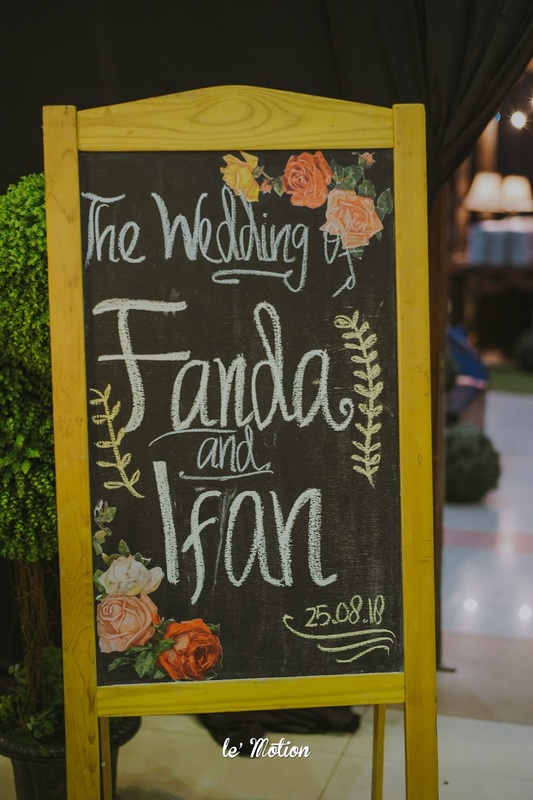 Sending our best wishes to you, Fanda & Ifan! 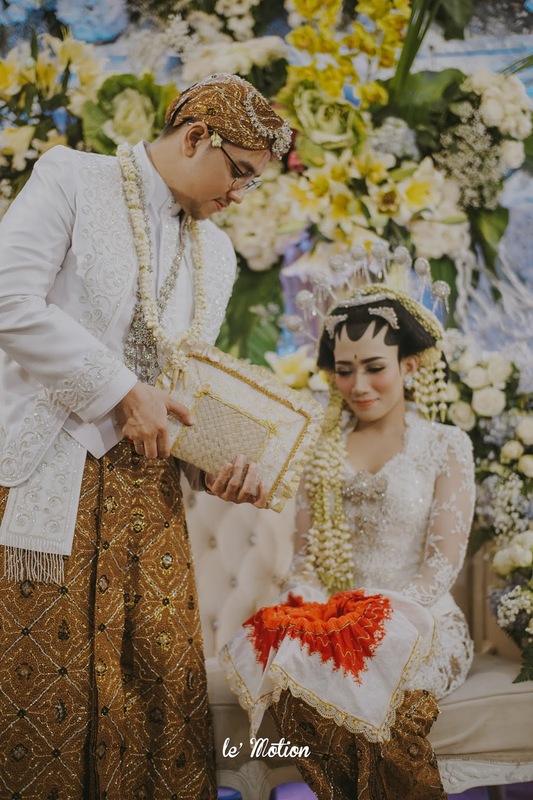 May it be one serenely beautiful journey for the two of you. 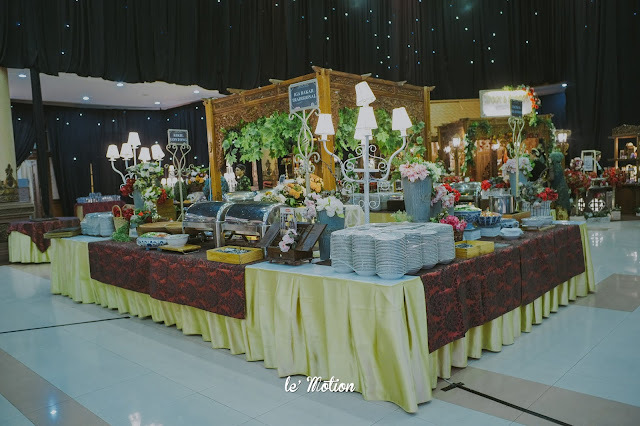 Also we'd like to thank Celtic Creative Event Planner for all the help our crew received in Jakarta and Surabaya.